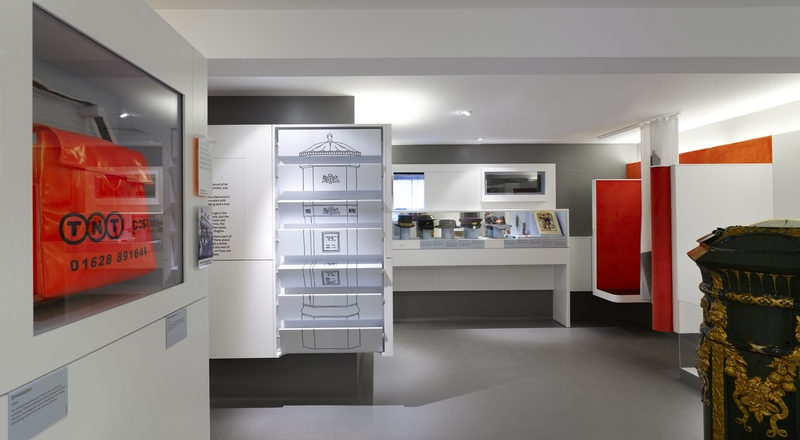 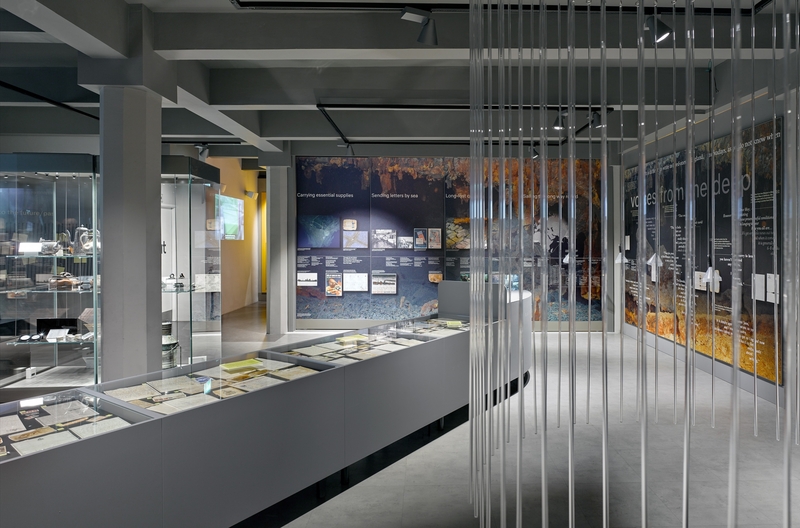 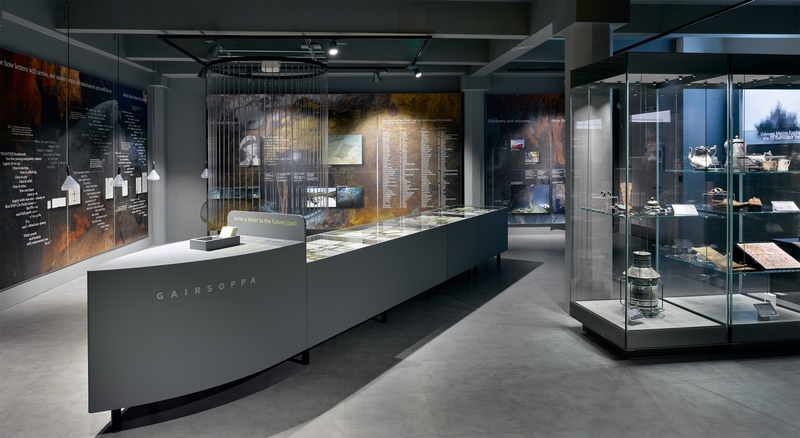 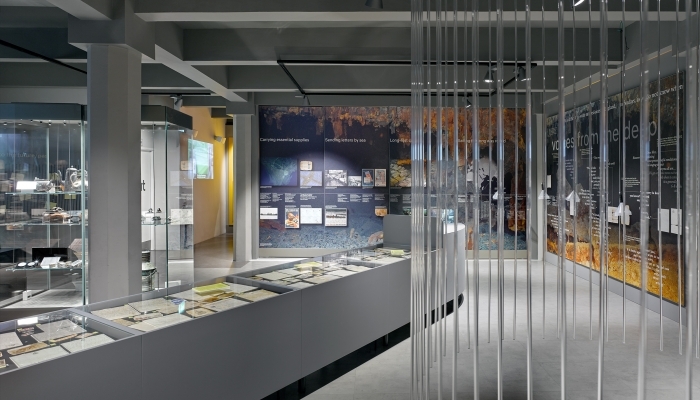 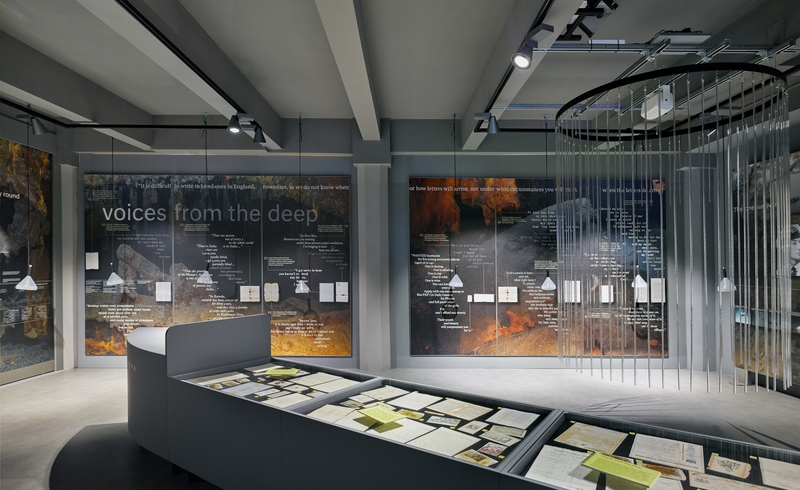 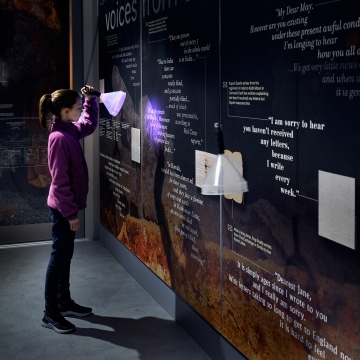 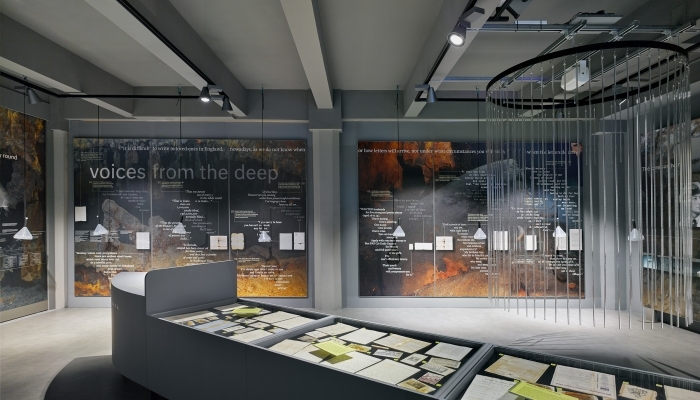 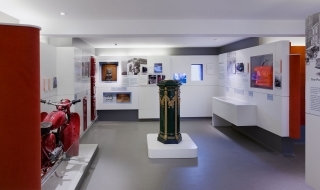 'Voices from the Deep' at London's new Postal Museum was designed in collaboration with Nick Bell Design. 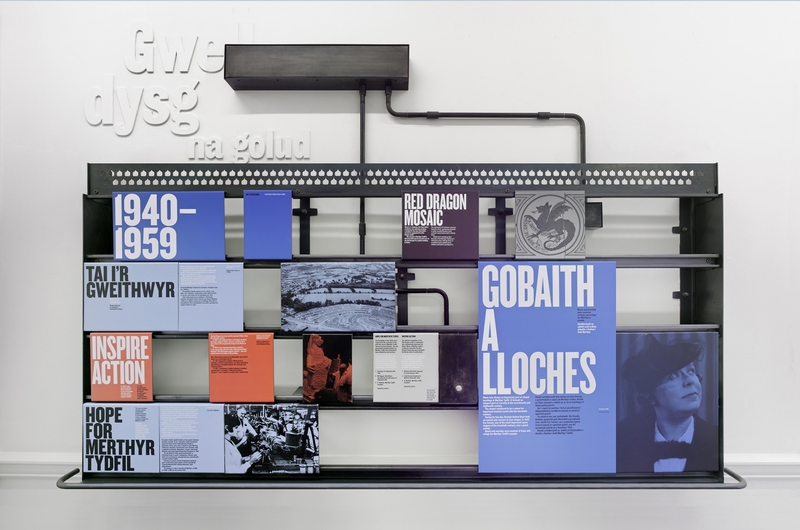 The exhibition presents letters that were discovered in the wreck of the supply ship Gairsoppa sailing from India, that was torpedoed off the coast of Ireland, during WWII. 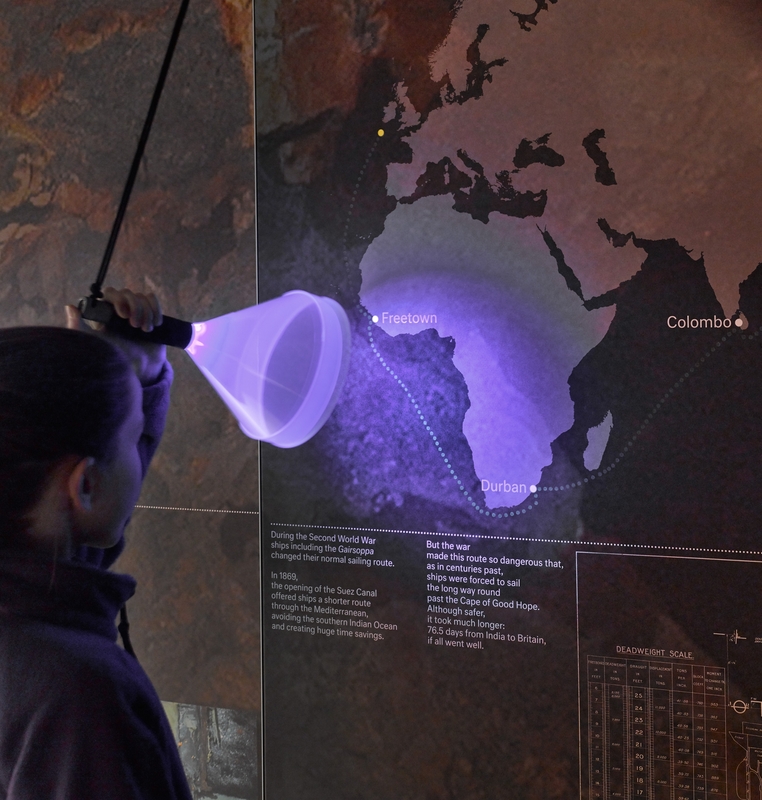 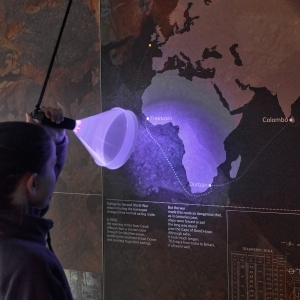 Hidden transcriptions from the never received letters, are revealed to visitors, when they direct ultraviolet torches at concealed text printed in UV reactive paint within the graphic panels. 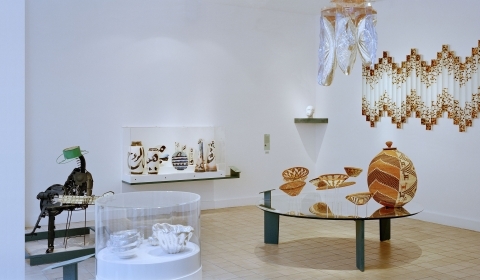 The exhibition was curated by Emma Harper and Sean Kingsley. 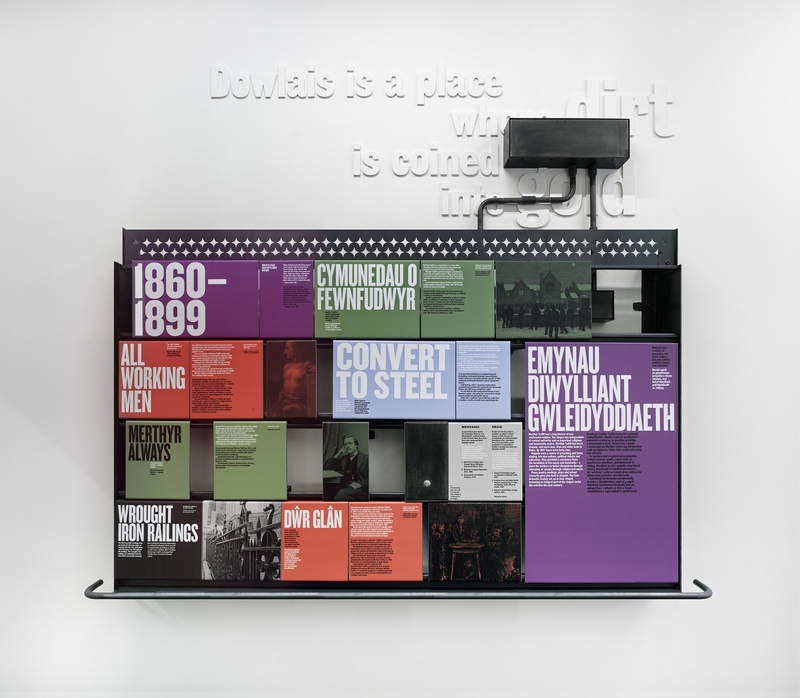 A series of steel display structures were designed for communal spaces in the new Redhouse arts centre, at Merthyr Tydfil. Stories from the town's vibrant past are presented through graphics, film and audio. 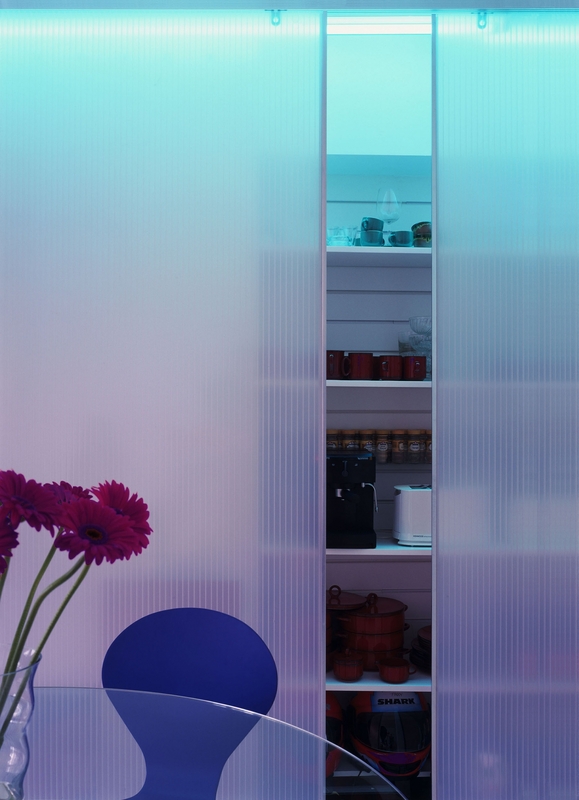 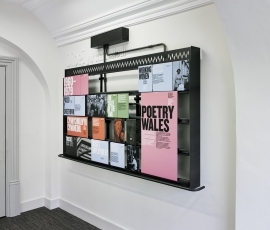 Elements slide in to horizontal channels, so allowing for new display material or equipment to be added over time. The project was a collaboration with Nick Bell Design, and was curated by Christopher Coppock. 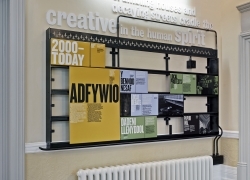 A series of display elements, were designed for the new Redhouse arts centre, Merthyr Tydfil. Steel structures support graphics panels, film monitors and speakers, presenting stories from the town's vibrant past. 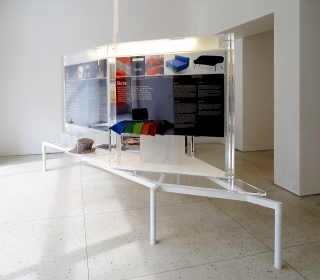 The project was a collaboration with Nick Bell Design, and was curated by Christopher Coppock. 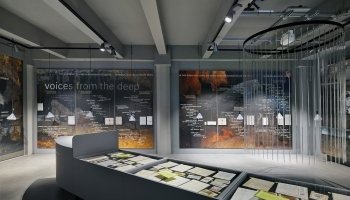 'Beyond the Genome' describes the recent history of DNA sequencing and speculates on its impact on society in the future. 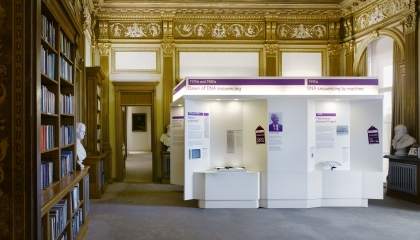 Initially shown at the Royal Society Summer Exhibition of 2013, the stand is now on permanent display at the Sanger Institute's campus at Hinxton, near Cambridge. 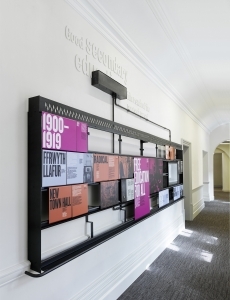 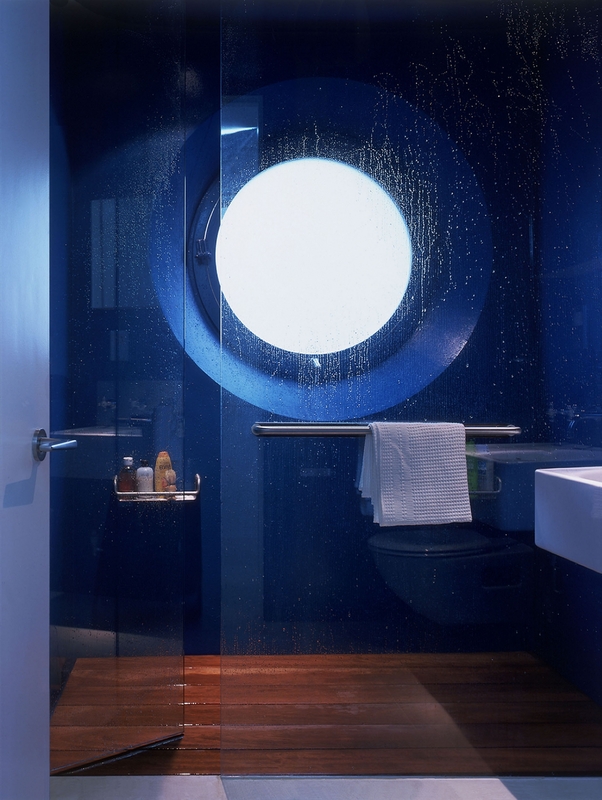 The project was curated by Julia Willingale-Theune and designed in collaboration with Nick Bell Design. "Captures superbly the cutting-edge nature of research at the Sanger Institute"
'Beyond the Genome' describes the history of DNA sequencing and speculates on its impact in the future. 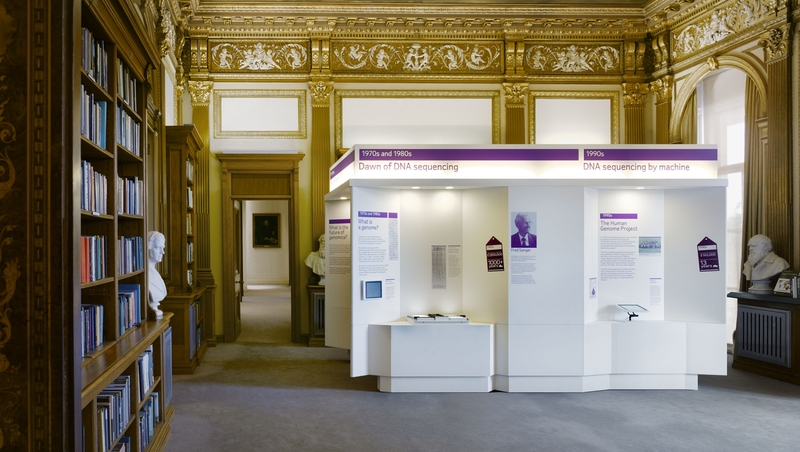 Initially shown at the Royal Society Summer Exhibition of 2013, the stand is now on permanent display at the Sanger Institute, near Cambridge. The project was designed in collaboration with Nick Bell Design. 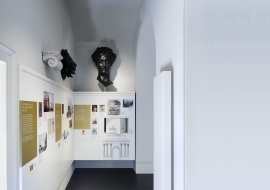 This permanent exhibition at the Wellington Arch tells the history of this prominent London landmark, and the evolution of its Hyde Park Corner site, since the building of the arch in 1830. 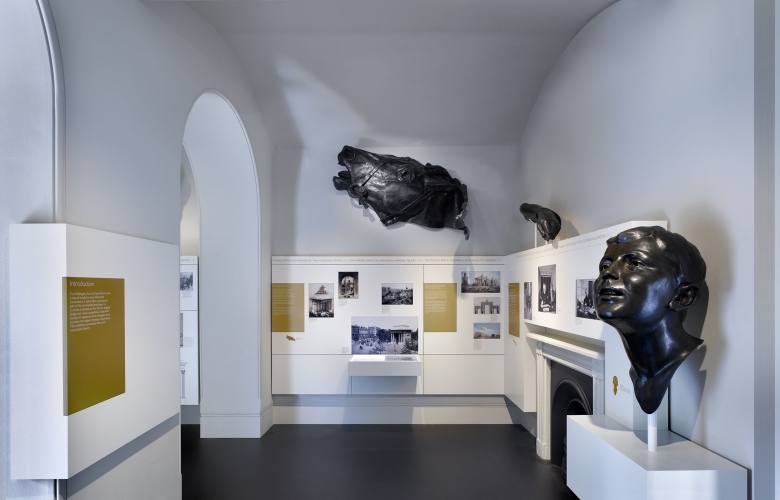 The key exhibits are casts of parts of the magnificent bronze 'Quadriga' sculpture that is sited on top of the arch. 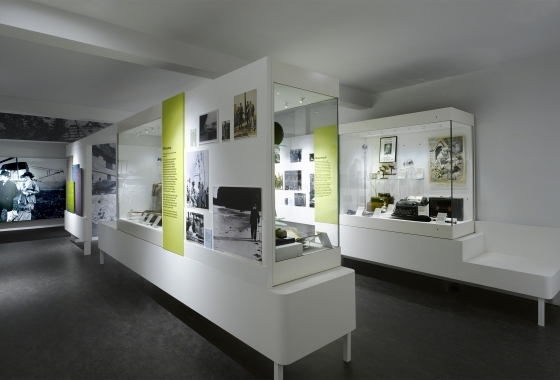 The historical adviser to the project was Dr Steven Brindle. 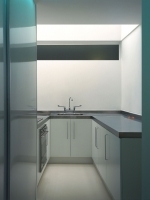 It was designed in collaboration with Nick Bell Design. This permanent exhibition inside the Wellington Arch tells the history of this prominent London landmark. 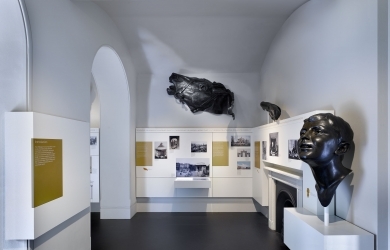 The key exhibits are casts of parts of the magnificent bronze 'Quadriga' sculpture that is sited on top of the arch. The project was curated by Dr Steven Brindle, and designed in collaboration with Nick Bell Design. 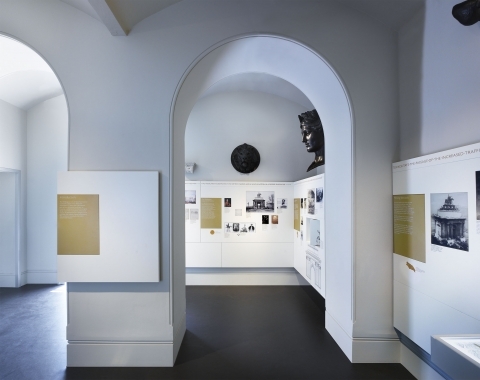 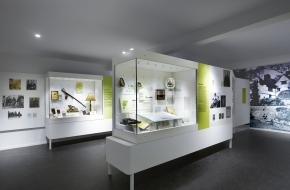 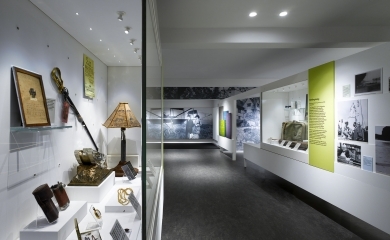 The exhibition gallery at Winston Churchill's former home, Chartwell House, was designed in collaboration with Nick Bell Design. 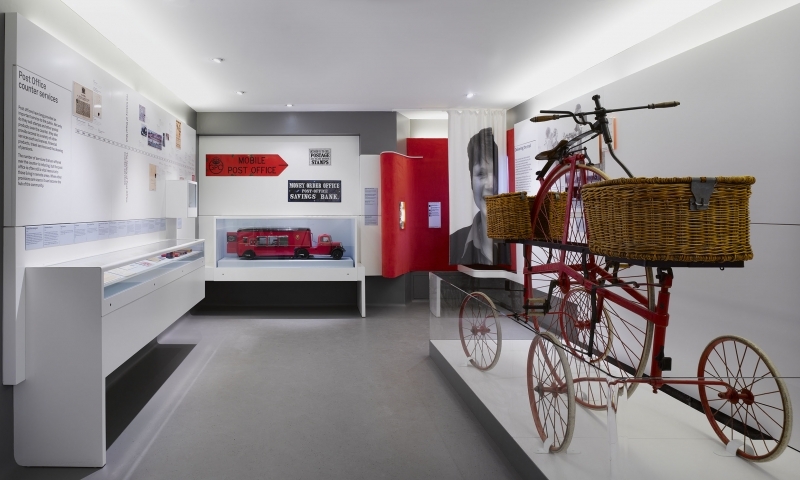 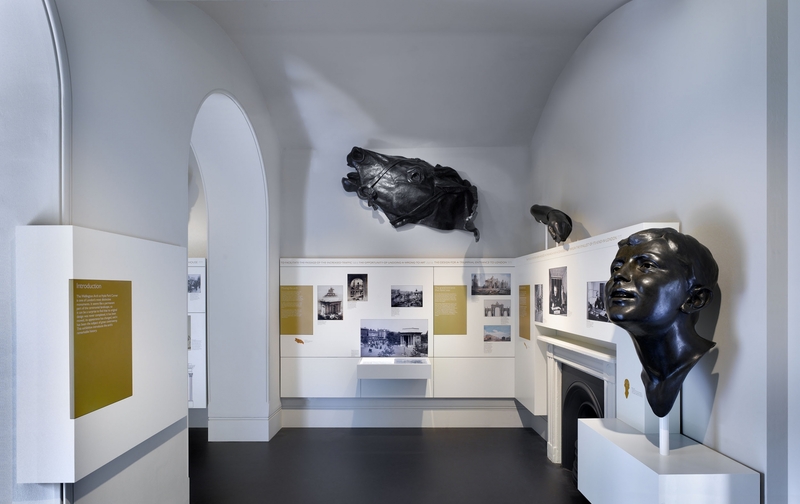 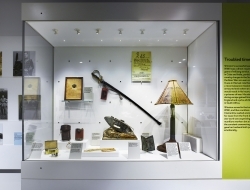 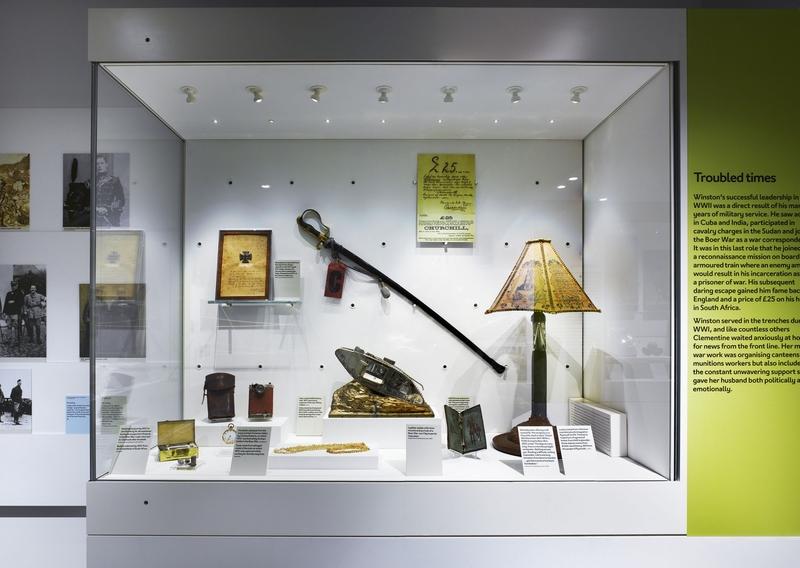 A permanent installation highlights key moments of Churchill’s life, and was devised such that it can be substituted by occasional temporary exhibitions. 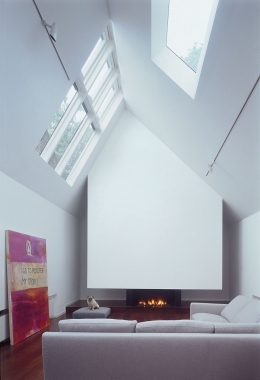 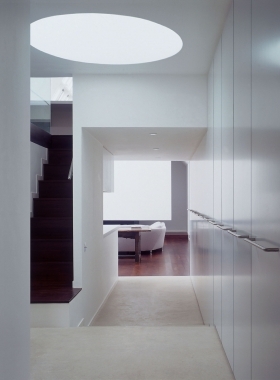 The design is given an intentionally domestic feel, deemed to be appropriate to its context within a country house. The project was curated by Alice Martin. The exhibition gallery at Winston Churchill's former home, Chartwell House, was designed in collaboration with Nick Bell Design. A permanent installation highlights key moments of Churchill’s life, and was devised such that it can be substituted by occasional temporary exhibitions. 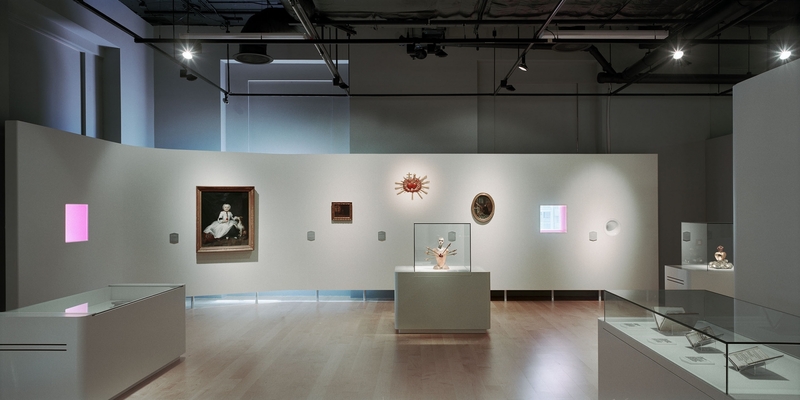 The project was curated by Alice Martin. 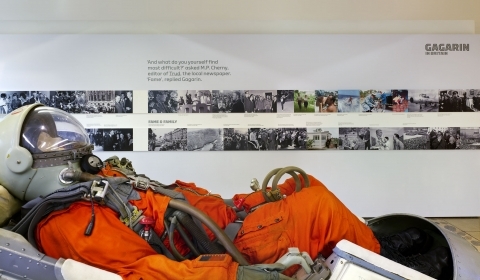 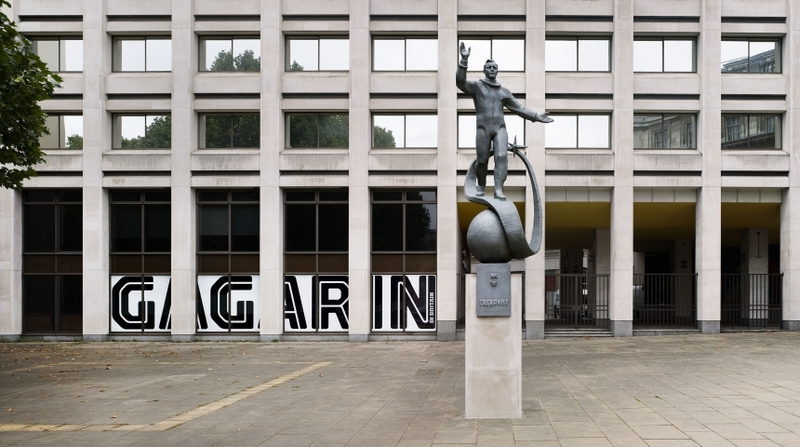 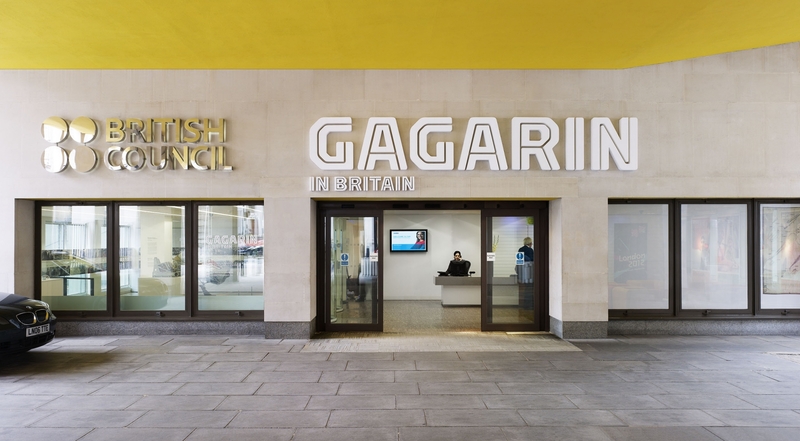 'Gagarin in Britain', curated by Andrea Rose, coincided with the unveiling of the statue of Uri Gagarin, that now stands outside the Royal Observatory, Greenwich. Loans from the Russian Space Agency were displayed in conjunction with archive film and photographs. 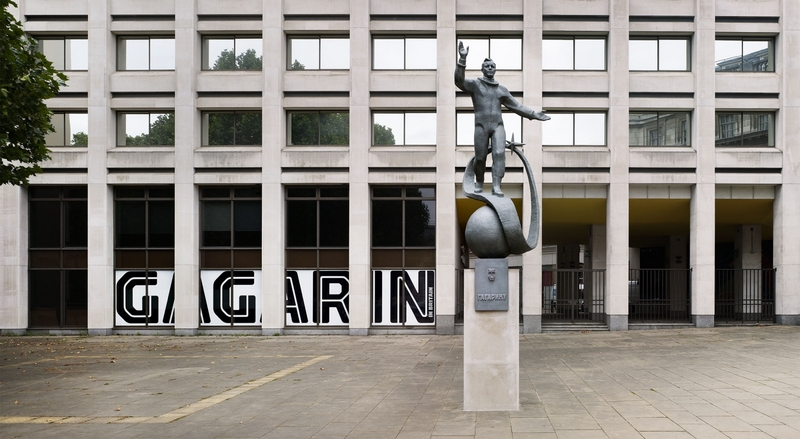 A billboard was built outside the British Council's headquarters to take a blow-up of a 1960’s Soviet space exploration poster. 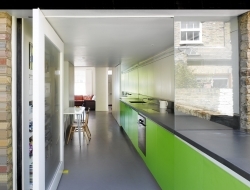 The project was designed in collaboration with Mark Thomson Design. 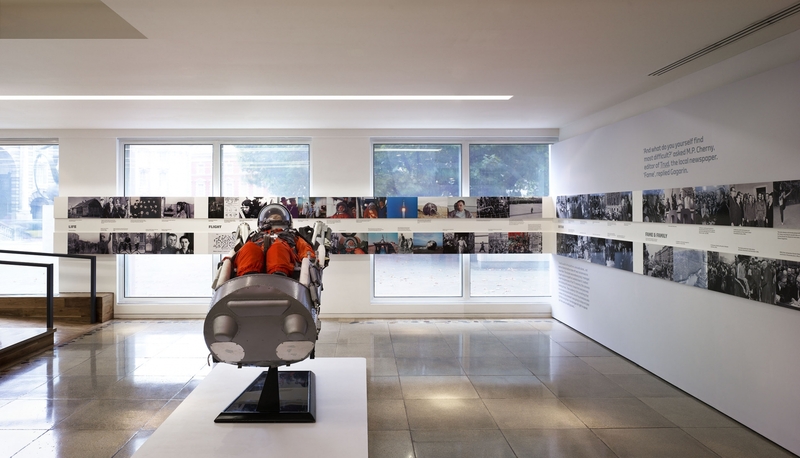 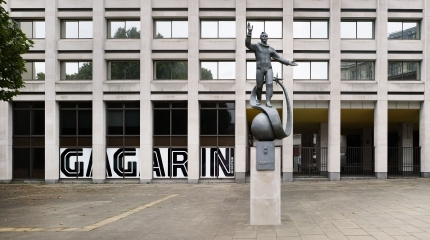 'Gagarin in Britain', curated by Andrea Rose, coincided with the unveiling of the statue of Uri Gagarin, that now stands outside the Royal Observatory, Greenwich. 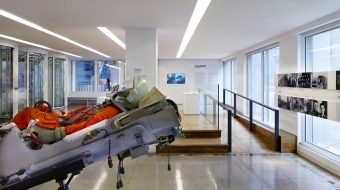 Loans from the Russian Space Agency were displayed in conjunction with archive film and photographs. The project was designed in collaboration with Mark Thomson Design. 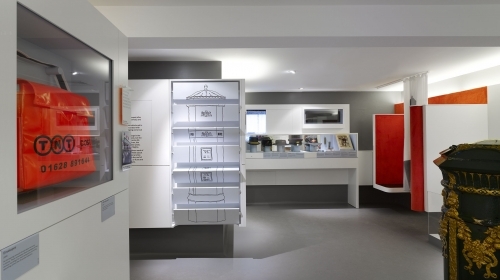 Set within the Ironbridge World Heritage site at Blists Hill Victorian Town, this permanent installation presents an historical overview of the UK’s postal service, focusing on its role within communities. 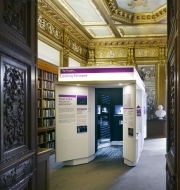 Visitors sit within carpet-clad booths to listen to recorded testimonials of postal workers and members of the public. 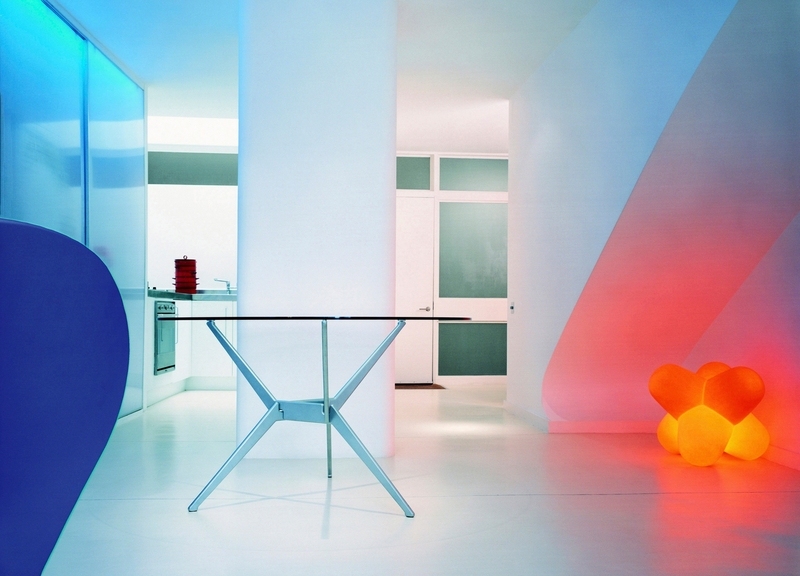 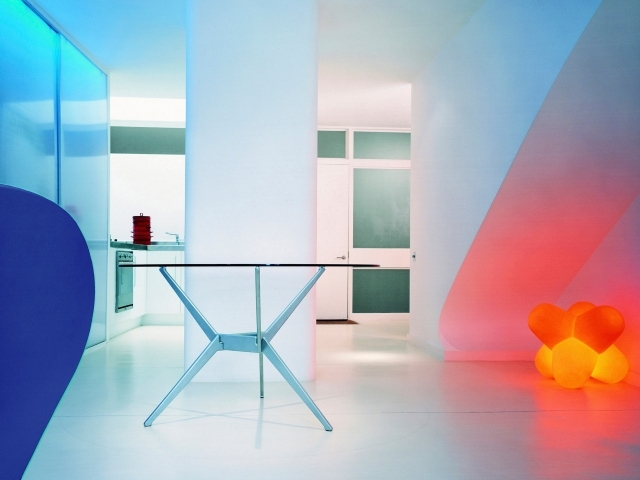 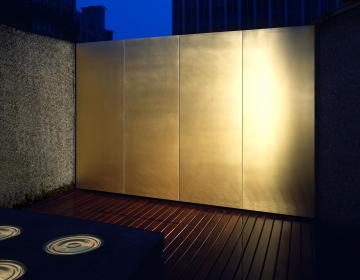 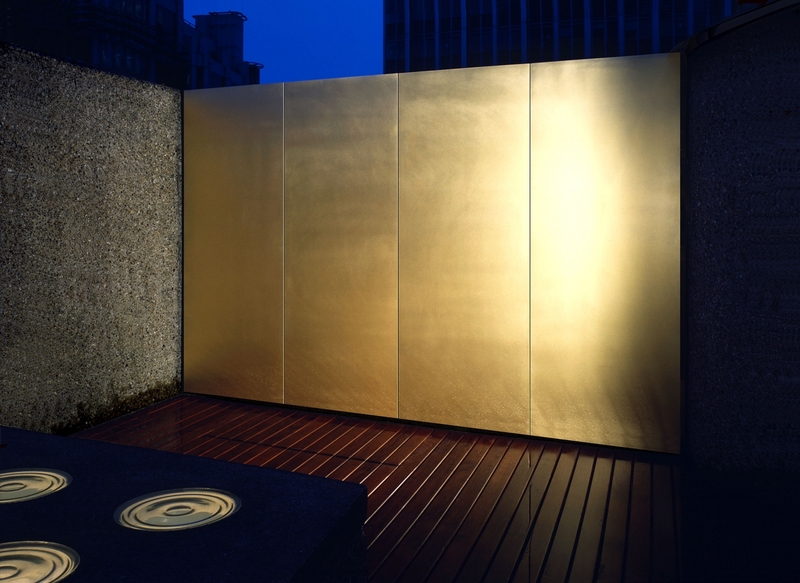 The project was curated by Chris Taft and designed in collaboration with Nick Bell Design. 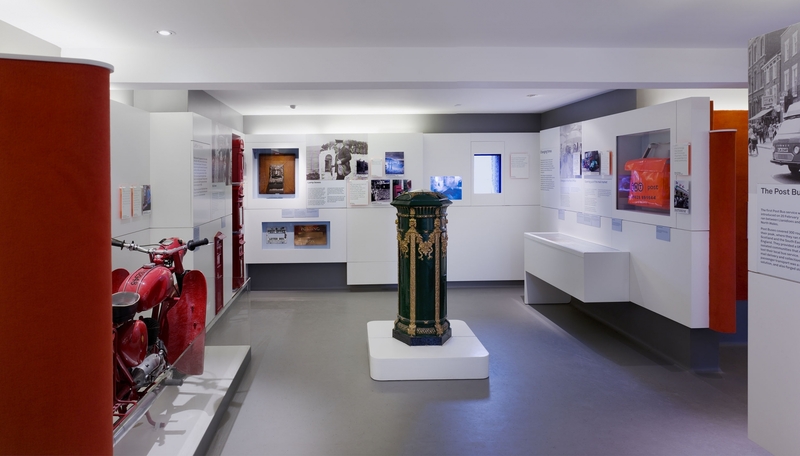 Set within the Ironbridge World Heritage site at Blists Hill, this permanent installation presents an historical overview of the UK’s postal service, focusing on its role within communities. 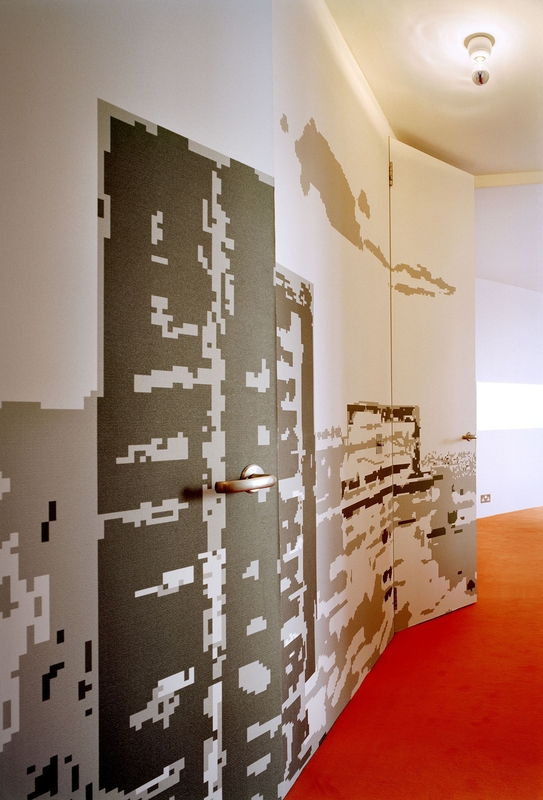 The project was curated by Chris Taft and designed in collaboration with Nick Bell Design. 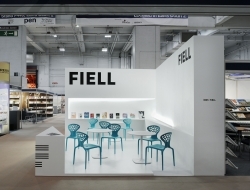 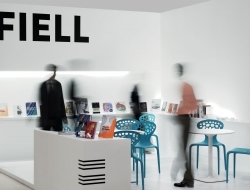 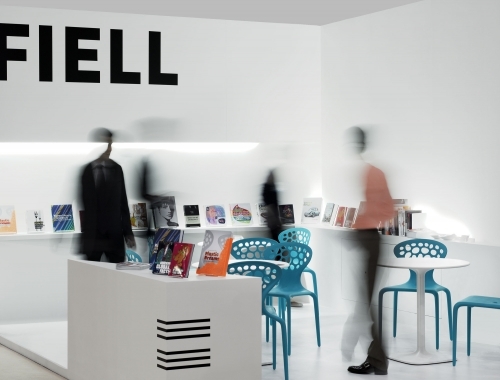 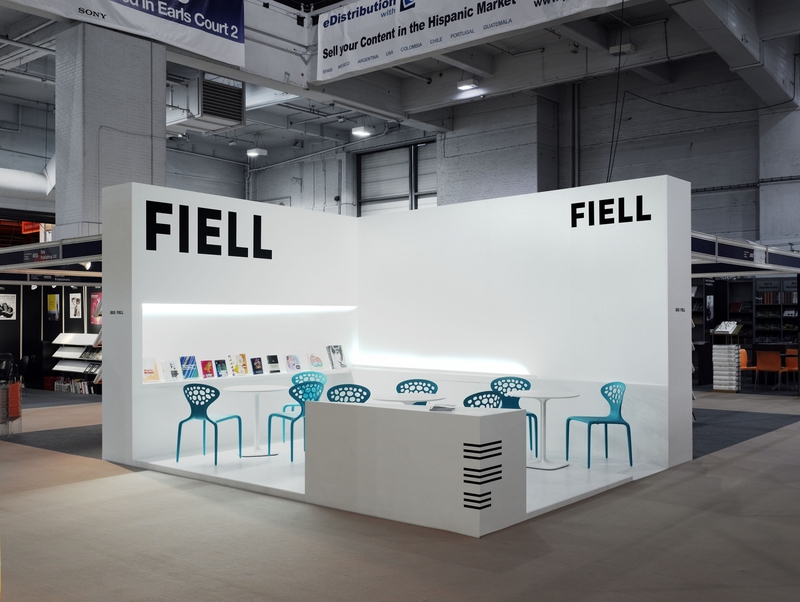 This stand for Fiell Publishing, was designed in collaboration with Mark Thomson Design. 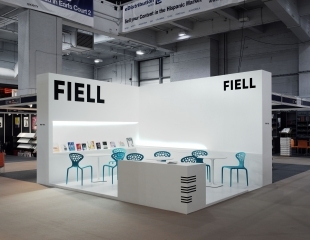 An all-white structure was created to contrast with the usual visual noise of the trade fair environment. The geometry is such that there is the illusion of a dynamic 'twist'. A similar stand was commissioned for the Frankfurt Book Fair of the same year. 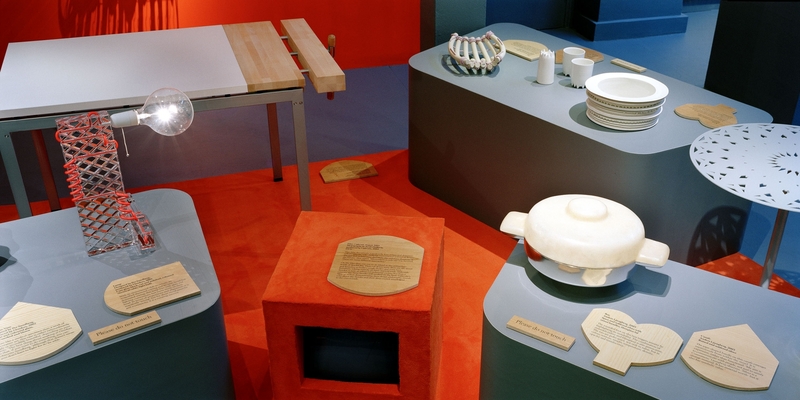 'From Atoms to Patterns' explored the influence of X-ray crystallography on designs shown at the Festival of Britain of 1951. 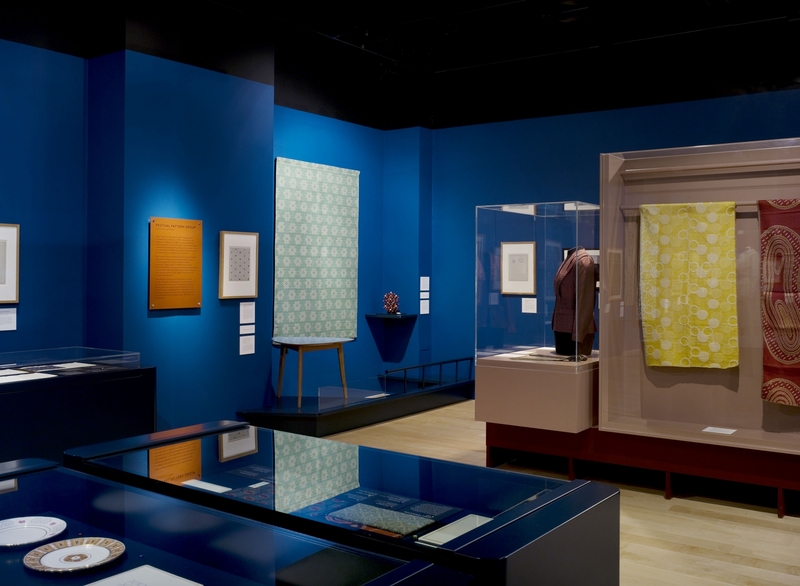 At that time, artists and makers derived pattern from scientists' diagrams of atomic structures, that were then applied to fabric, wallpaper, flooring, ceramics and furniture. One large polychrome element was designed to display the exhibits, that were in the main, loaned from the V&A and the Science Museum. 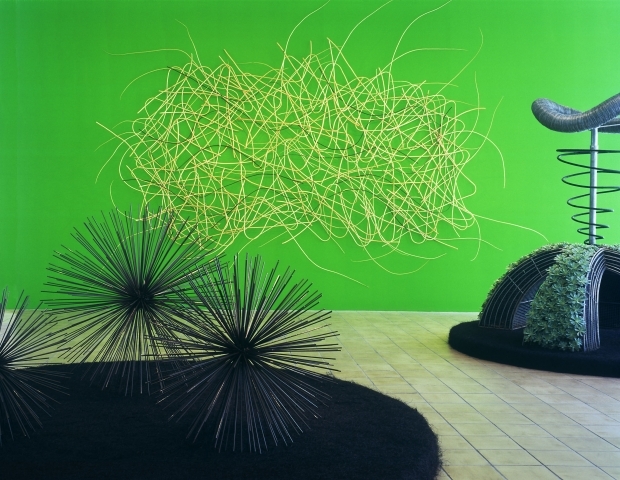 The project was curated by Lesley Jackson. 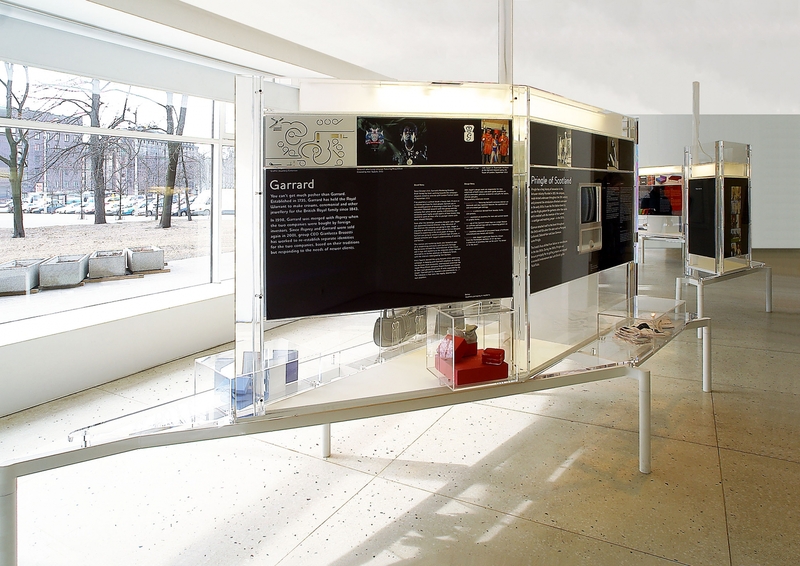 The graphic design was by Graphic Thought Facility. 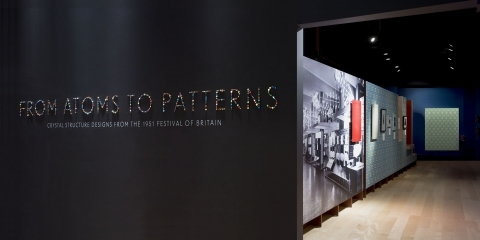 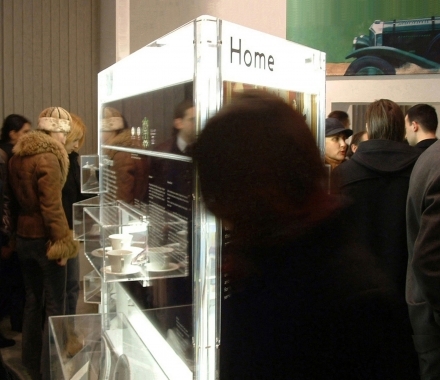 "A highly focused presentation, set in a suitably retro exhibition design"
'From Atoms to Patterns', explored the influence of X-ray crystallography on designs shown at the Festival of Britain of 1951. 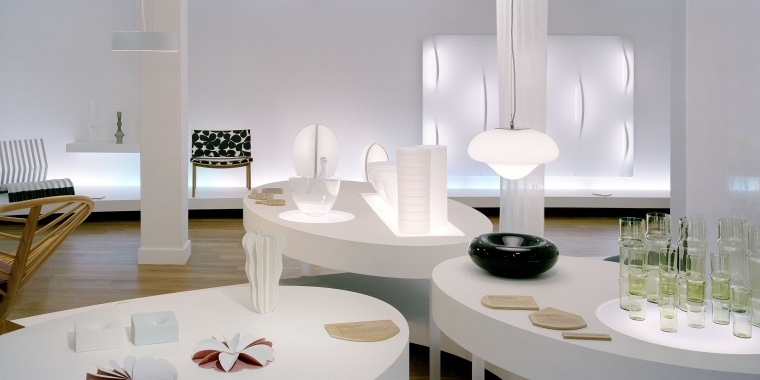 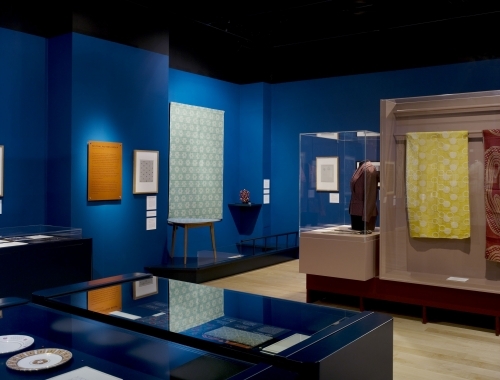 One large polychrome element displays exhibits that include fabrics, wallpaper, flooring, ceramics and furniture. 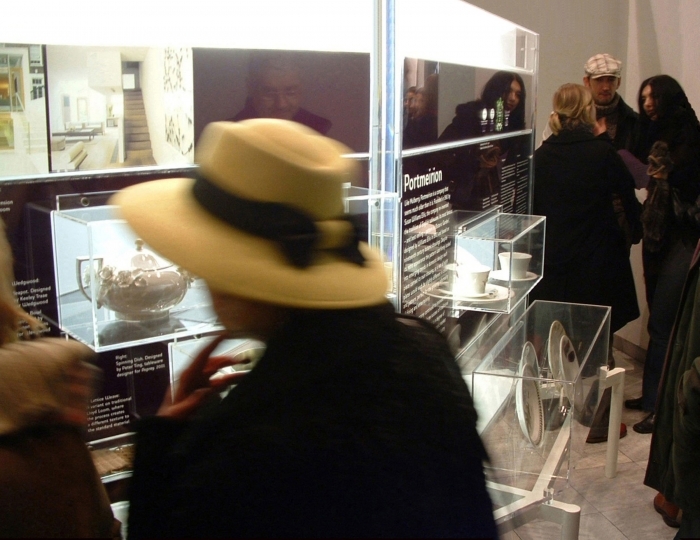 The project was curated by Lesley Jackson. 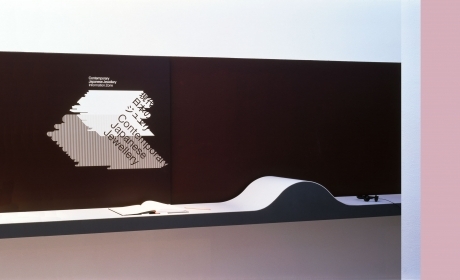 The graphic design was by Graphic Thought Facility. 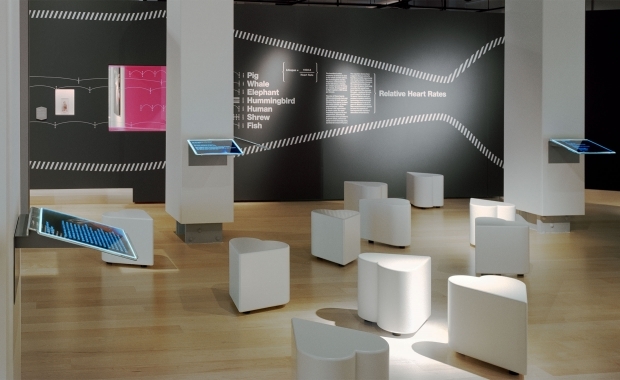 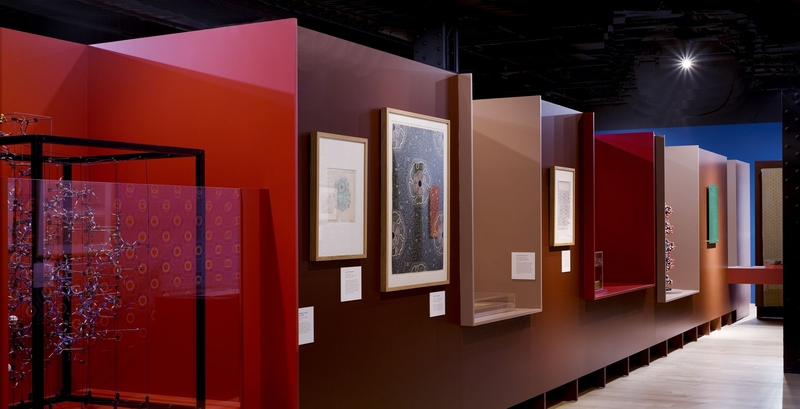 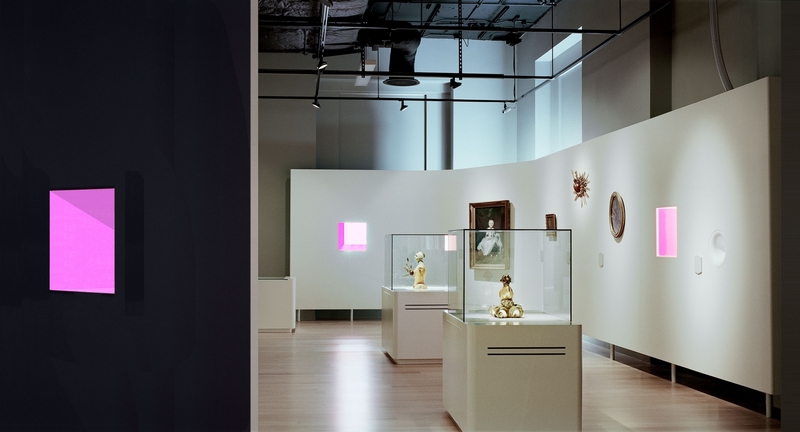 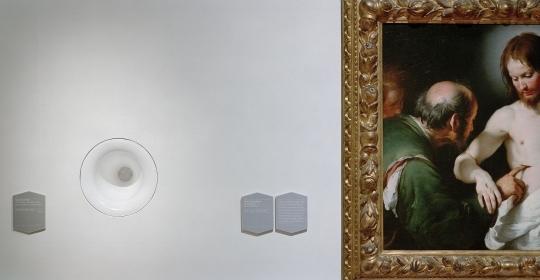 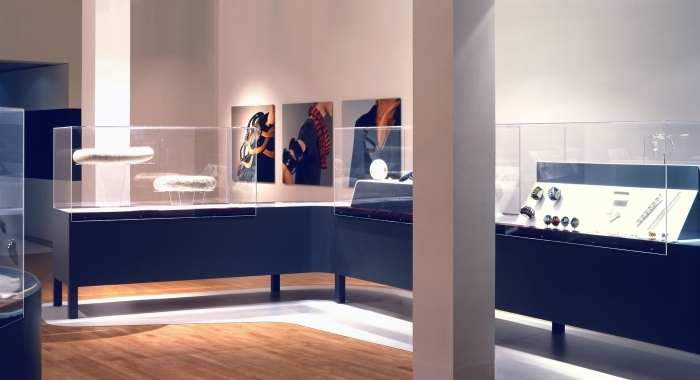 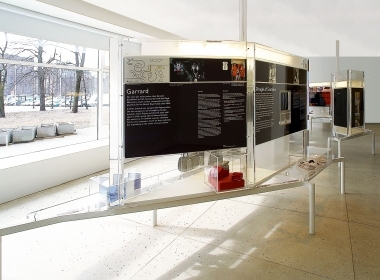 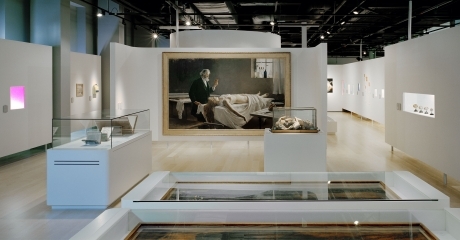 'The Heart' was the inaugural exhibition at the Wellcome Collection gallery. 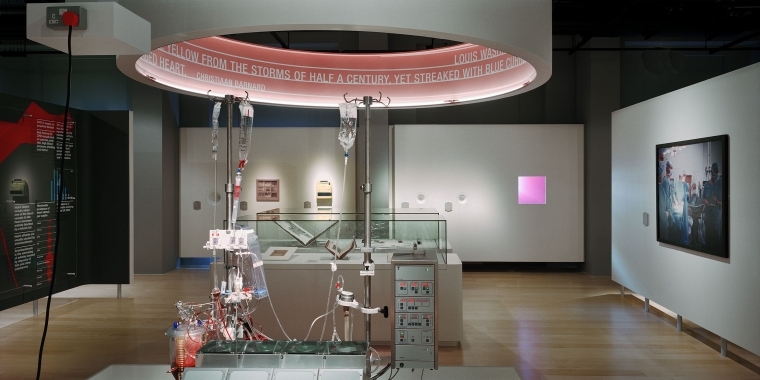 Curated by James Peto and Emily Jo Sargent, anotomical and medical information on the heart was presented within sections devoted to the cultural significance afforded the heart throughout history. The exhibition furniture included specially designed heart-shaped stools. The exterior of the building was fitted with red lights programmed to pulse in the rhythm of a heartbeat. 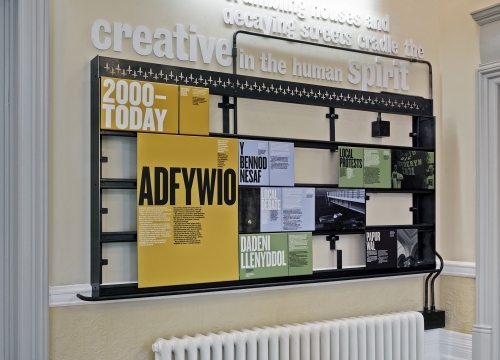 The graphic design was by Nick Bell Design. "Spankingly fresh in its weirdness"
'The Heart' was the inaugural exhibition at the Wellcome Collection that opened in 2007. 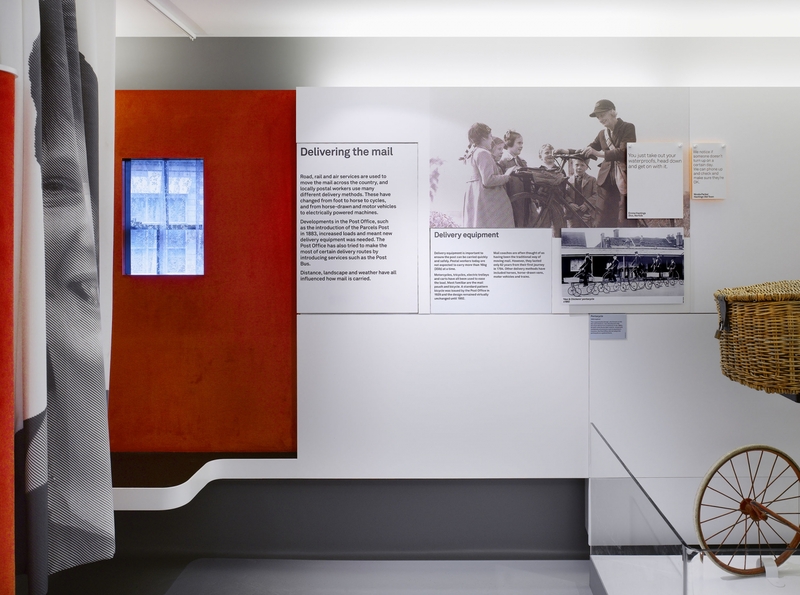 Curated by James Peto and Emily Jo Sargent, anotomical information on the heart was presented within sections devoted to the cultural significance afforded the heart throughout history. 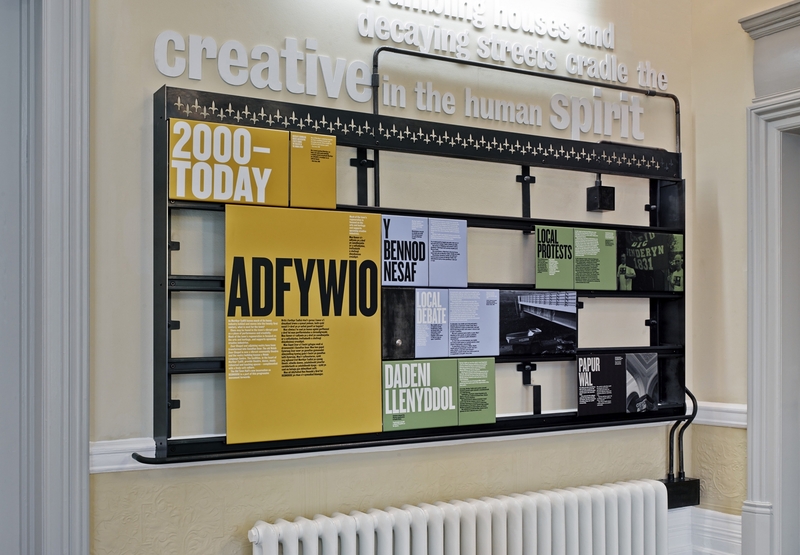 The graphic design was by Nick Bell Design. 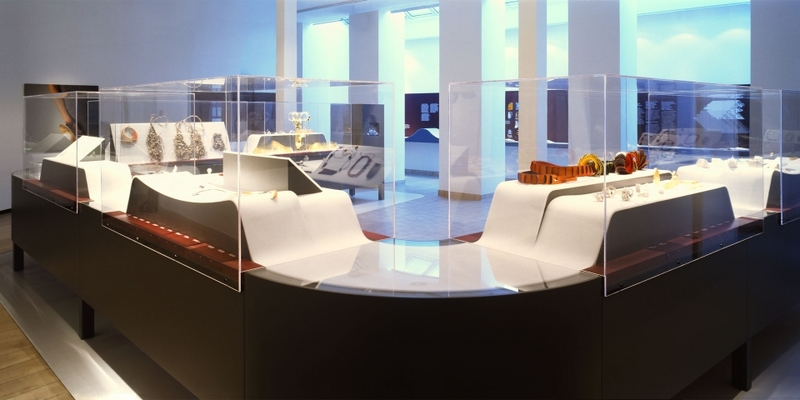 'Mixed Belongings' curated by Raimi Gbadamosi, showcased the work of eight artists and makers of African origin, as part of the Africa 2005 festival of culture. 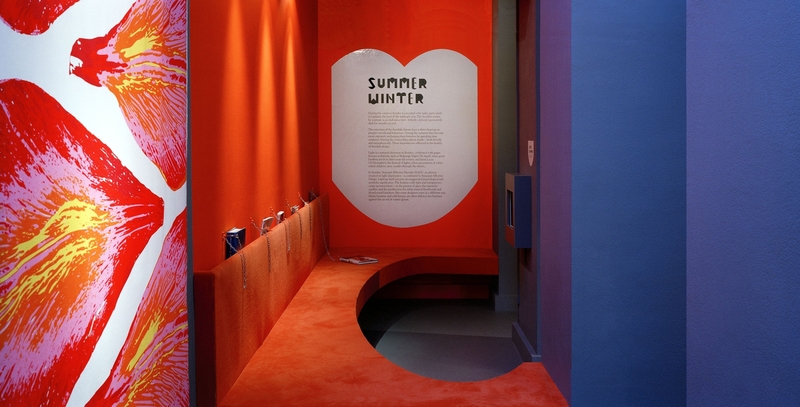 Fluorescent red paint was used to 'dye' reflected daylight entering the gallery, to evoke an intense feeling of warmth. The graphic design was by Johnson Turnbull. 'Mixed Belongings' curated by Raimi Gbadamosi, showcased the work of eight artists and makers of African origin. Fluorescent red paint was used to 'dye' the daylight in the gallery, to evoke an intense feeling of warmth. 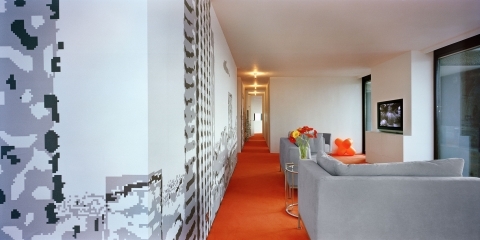 The graphic design was by Johnson Turnbull. 'Beauty and the Beast' showcased the work of twenty-six emerging Swedish product designers. 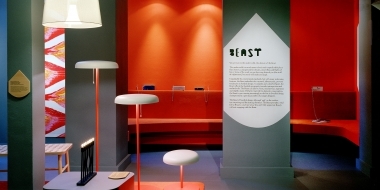 Lesley Jackson, the curator, identified two opposing sensibilities in the work, and contrasting spaces, characterising 'beauty' and 'beast', were created. 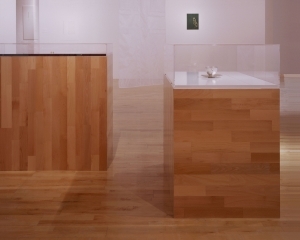 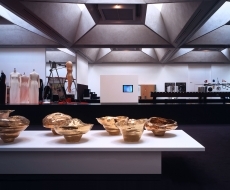 The exhibition toured on to Manchester’s Whitworth Gallery. 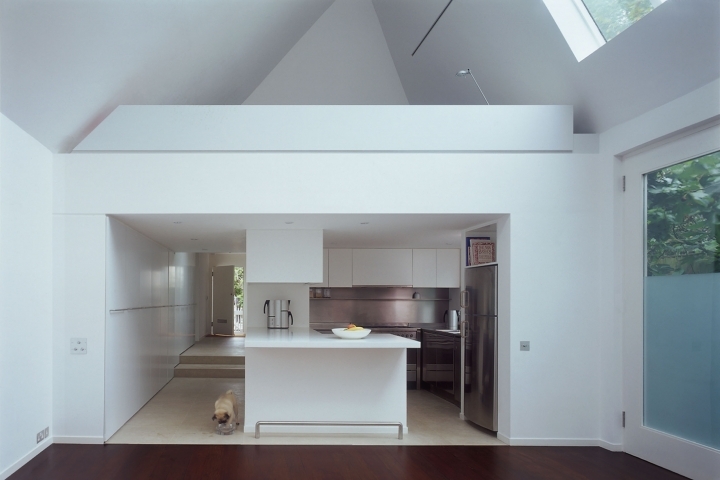 The graphic design was by Kerr|Noble. 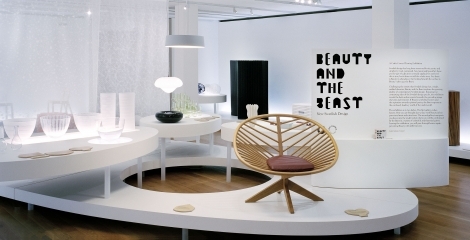 "The art of Nick Coombe's design lies in the manipulation of space, allowing works to sit happily beside each other"
'Beauty and the Beast' showcased the work of twenty-six emerging Swedish product designers. Lesley Jackson, the curator, identified two opposing sensibilities in the work, and seperate spaces, characterising 'beauty' and 'beast' were created. 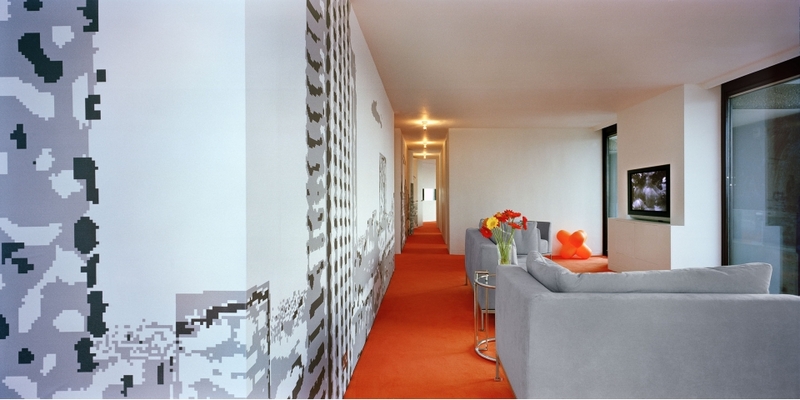 The graphic design was by Kerr|Noble. 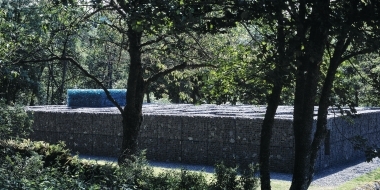 The commission of the maze in the grounds of Kielder Castle was won in open international competition from 74 entries. 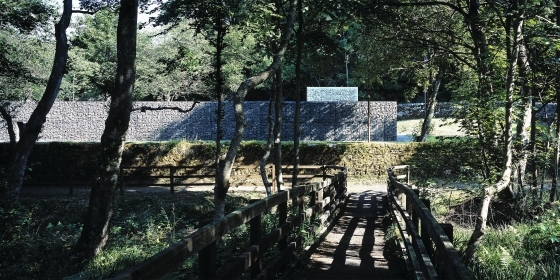 Designed in collaboration with Shona Kitchen, the structure is built of steel gabions filled with basalt rocks and, in the central chamber, waste glass cullet. The Minotaur was included in the exhibition 'Per Laberints' at Barcelona’s Centre de Cultura Contemporania in 2010. 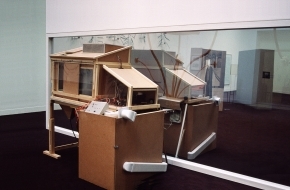 The project was curated by Peter Sharpe. 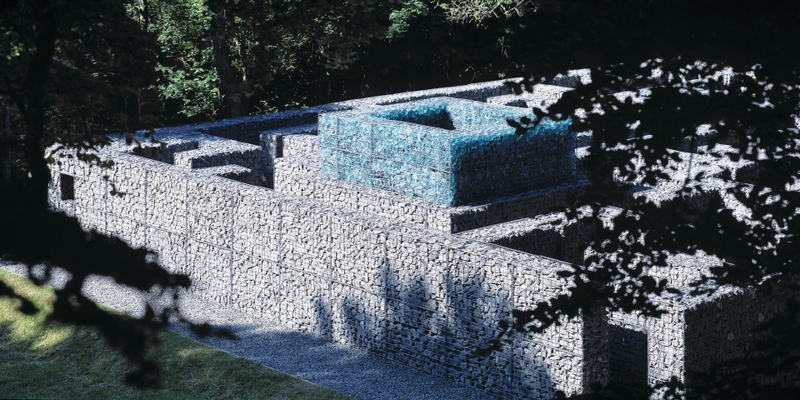 "A handsome architectural sculpture....summer or winter, the place is a delight"
The commission of the maze in the grounds of Kielder Castle was designed in collaboration with Shona Kitchen. 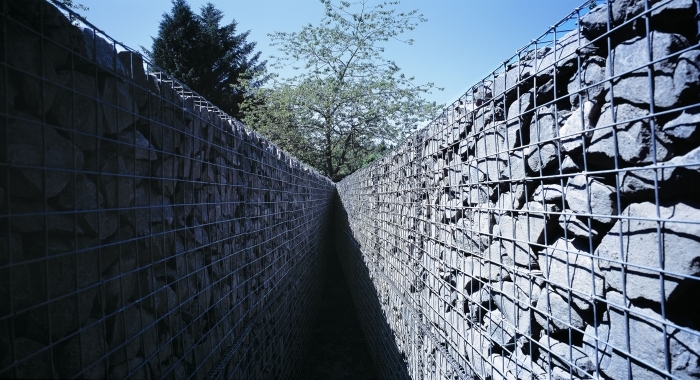 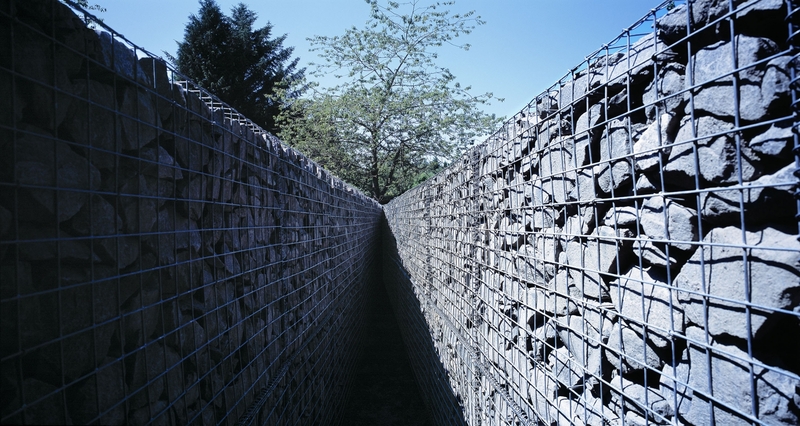 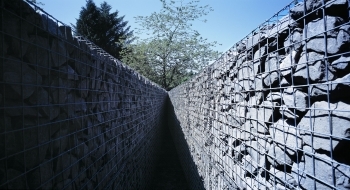 The structure is built from steel gabions filled with basalt rocks and, in the central chamber, of waste glass cullet. The project was curated by Peter Sharpe. "The Minotaur exists as a quirky entity....it refuses to be constricted by the discourse that surrounds it"
'Out There' brought together external sculptural works by twenty artists and makers. 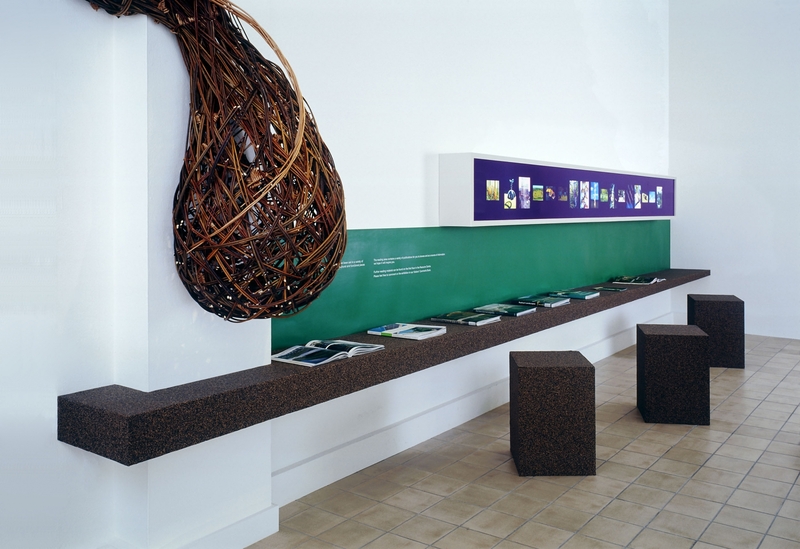 The exhibition setting was fabricated entirely from renewable natural materials; cork, recycled rubber, and (real) horsehair. 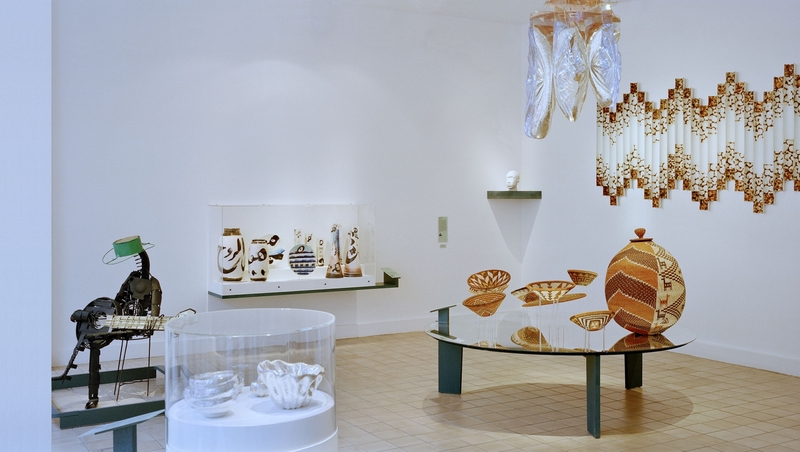 The exhibition was curated by Julia Ravenscroft. 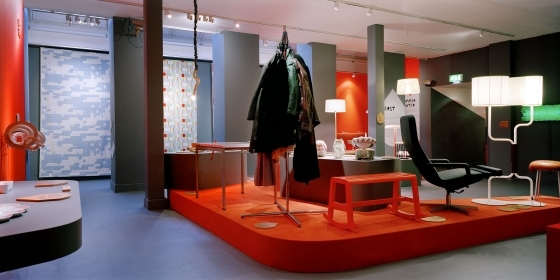 'Posh' described the resurgence of up-market traditional British brands through their investment in contemporary design. Merchandise was displayed in internally-lit acrylic rhomboid structures. 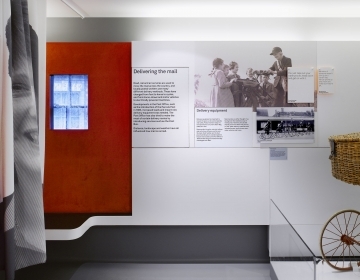 The exhibition was curated by Sorrel Hershberg, with a consultant team that included the writer Philip Hoare, with graphics by Nick Bell Design. 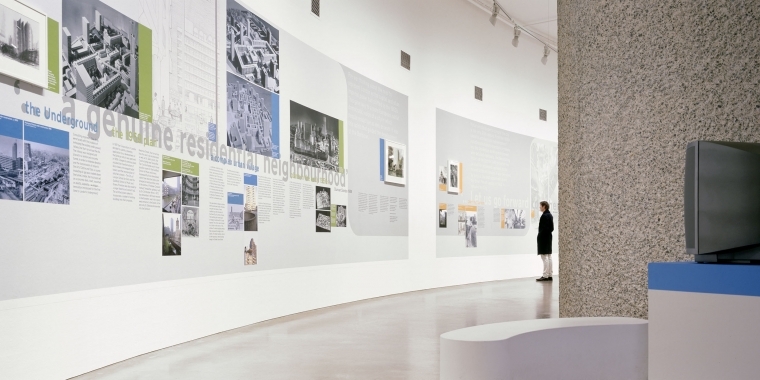 The exhibition opened in Tallinn and then toured to Moscow, Belgrade and Seoul. 'Posh' described the resurgence of up-market traditional British brands through their investment in contemporary design. 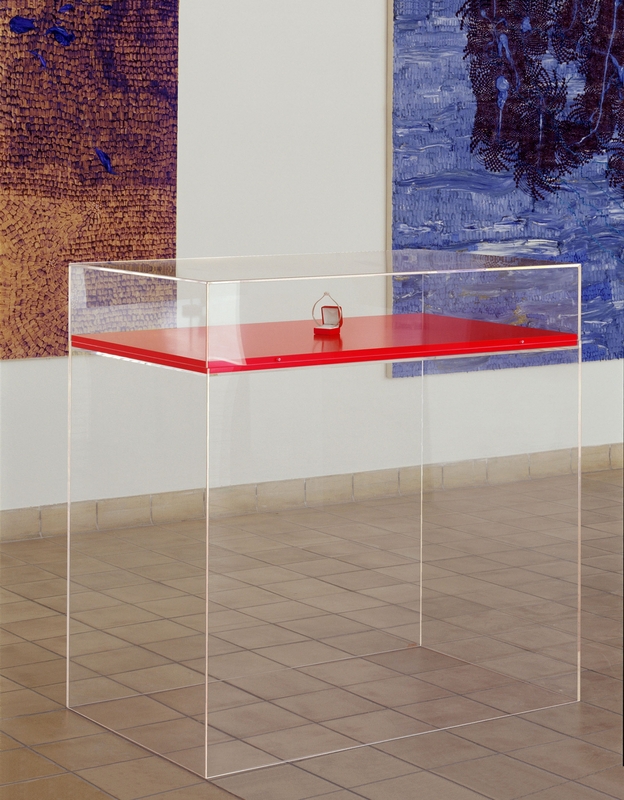 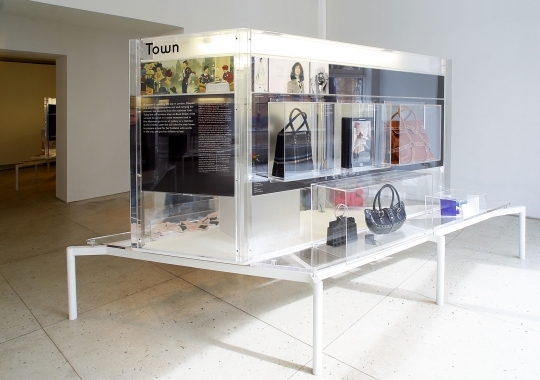 Merchandise was displayed in internally lit acrylic rhomboid structures. 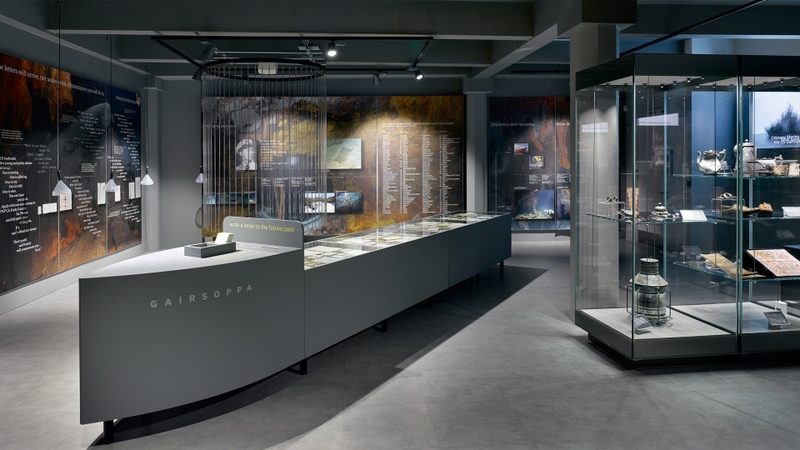 The exhibition opened in Tallinn and toured to Moscow, Belgrade and Seoul. 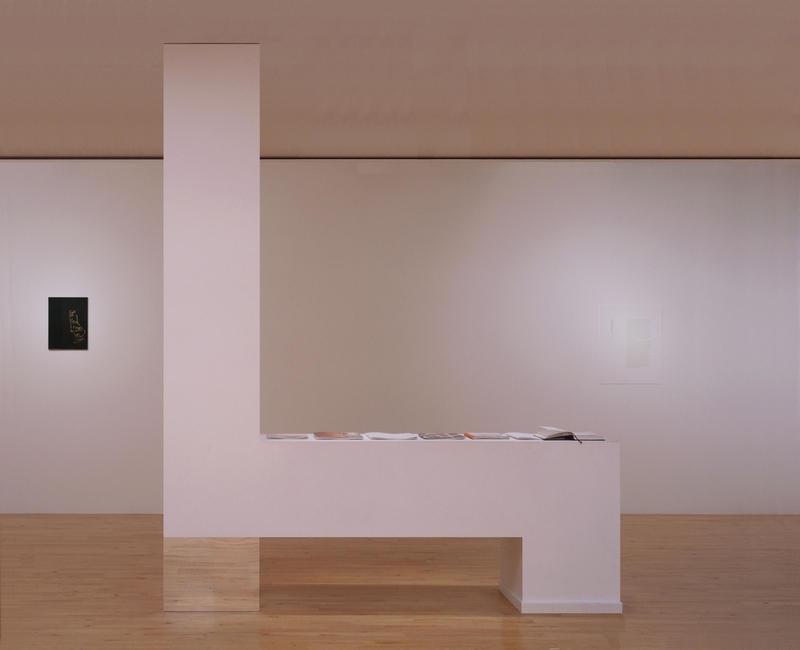 The exhibition was curated by Sorrel Hershberg, with graphic design by Nick Bell Design. 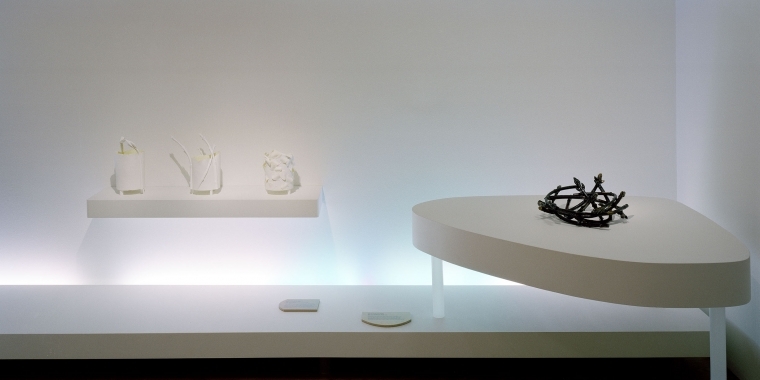 'Approaching Content' investigated various processes of manufacture employed by seven emerging artists. 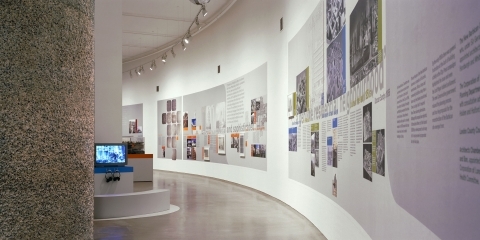 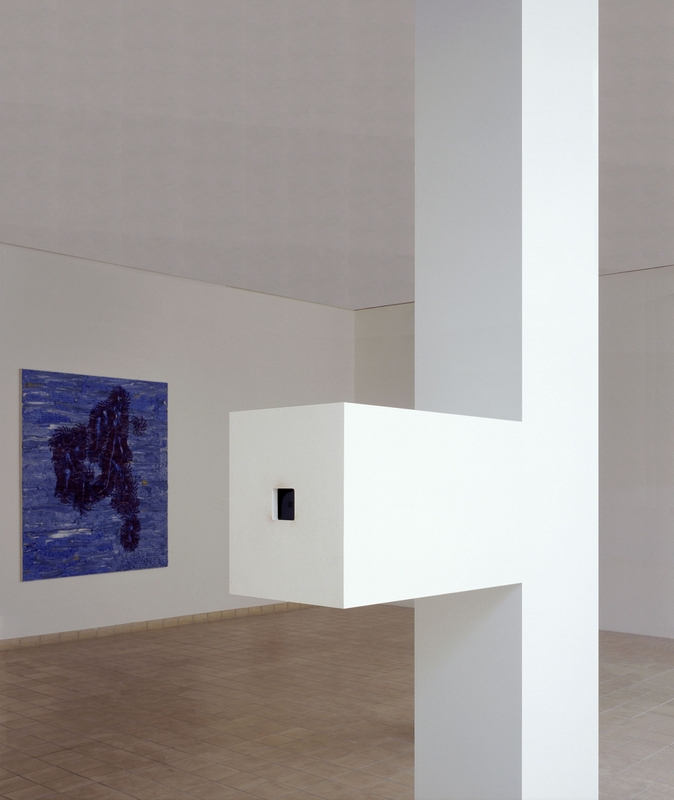 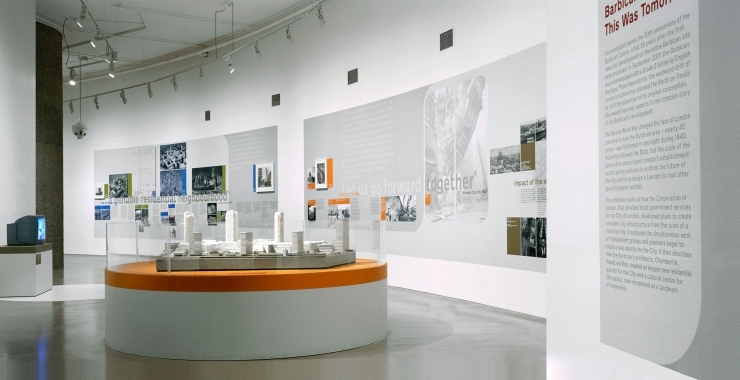 Display elements were designed as a series of interventions that disturbed the existing architecture of the gallery. The exhibition was curated by Jonathan Parsons. The graphic design was by Mark Thomson Design. "Extraordinary thought and conceptual development......visually sumptuous yet minimal, invisible and clever"
'Approaching Content' investigated various processes of manufacture employed by seven emerging artists. Display elements were designed as a series of interventions that disturbed the existing architecture of the gallery. The exhibition was curated by Jonathan Parsons. The graphic design was by Mark Thomson. 'This Was Tomorrow' commemorated the twentieth anniversary of the opening of London’s Barbican Complex. The exhibition was designed in collaboration with Nick Bell Design, who created six large artworks which were pasted like billboard posters directly to the wall of the gallery. The curator was David Heathcote. 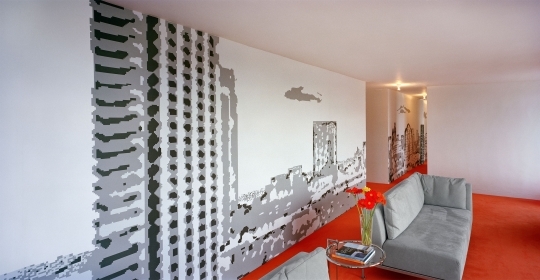 This Was Tomorrow commemorated the twentieth anniversary of London’s Barbican Complex. 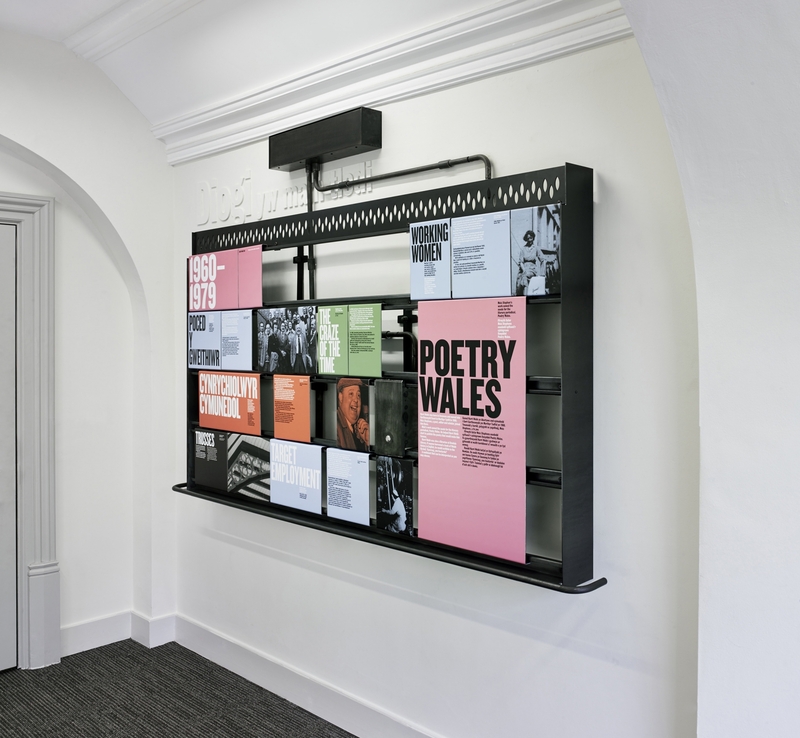 The exhibition was designed in collaboration with Nick Bell Design, who created six large artworks which were pasted like billboard posters directly to the wall of the gallery. 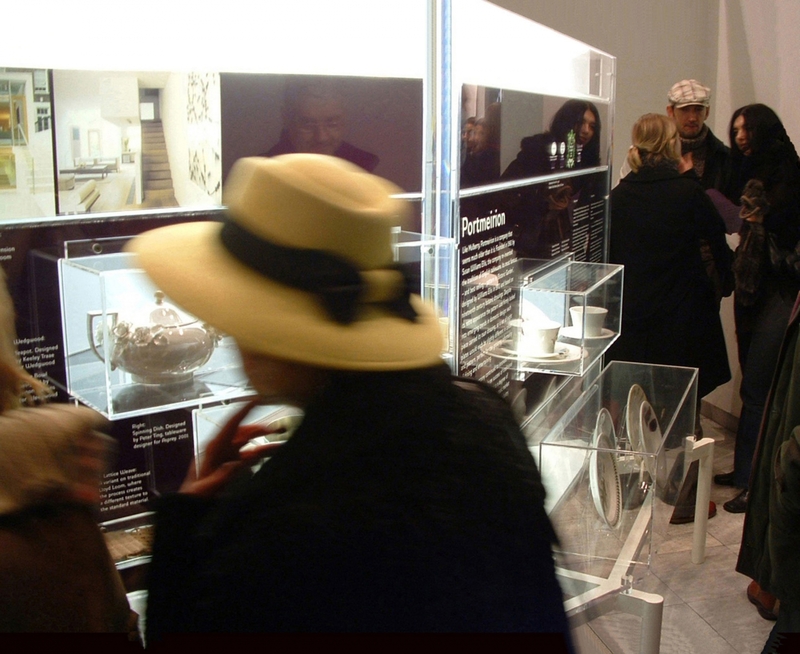 The curator was David Heathcote. 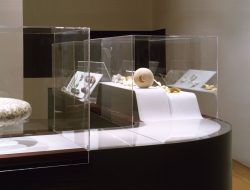 'Contemporary Japanese Jewellery' presented 250 pieces by fifty Japanese makers. The design was derived from the concept of a sushi restaurant conveyor, with exhibits displayed on a continuous undulating strip of white foam, that snaked its way through the gallery. 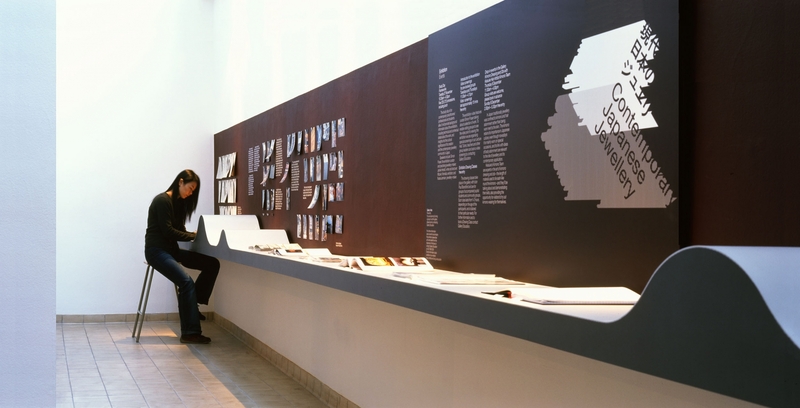 The exhibition was curated by Simon Fraser, with graphic design by Cartlidge Levene. 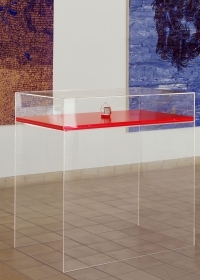 "The display appears to hover within the gallery……it is part of the space yet simultaneously, is only lightly connected to it"
"Fresh thinking.....a stylishly presented show"
'Abracadabra' set out to define a new spirit in contemporary art. A 'common ground' for visitors and the art works, was created by stripping out the existing partition walls of the gallery. 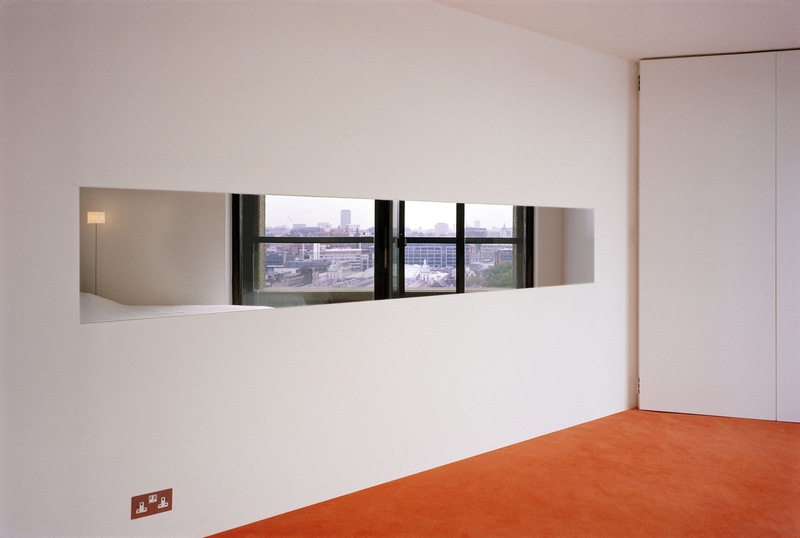 A fitted carpet was laid that allowed for sitting on the floor to watch the numerous video installations. 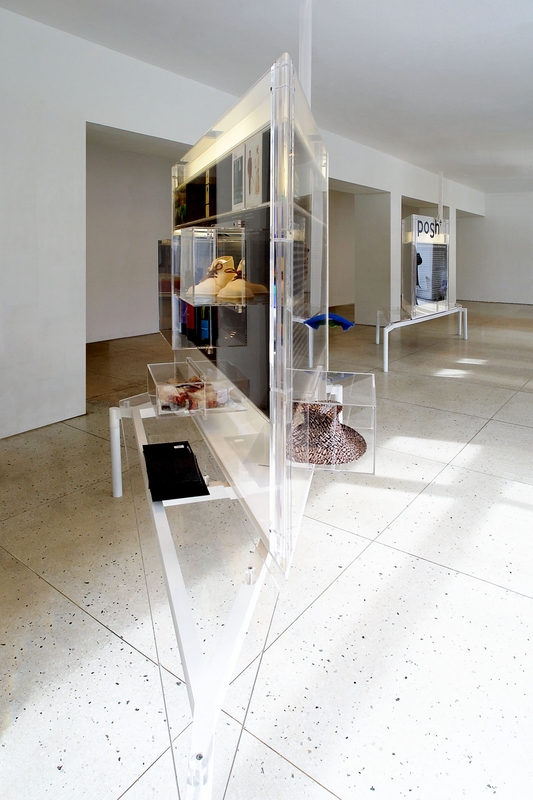 The exhibition was curated by Catherine Grenier and Catherine Kinley. "A huge success with the public, due in large part to your imagination in developing the installation for the show"
'Abracadabra' set out to define a new spirit in contemporary art. 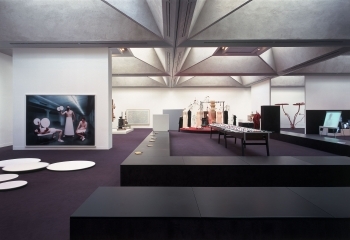 A 'common ground' for visitors and the art works, was created by stripping out the existing partition walls of the gallery. A fitted carpet was laid that allowed for sitting on the floor to watch the numerous video installations. "The entire gallery has been converted into a playground where visitors are encouraged to run riot"
This remodelling of an early Victorian terrace house in Shoreditch opened up the typical ground floor arrangement of three rooms, to create one large kitchen, dining and living space. The kitchen incorporates a black concrete worktop that extends out in to the garden courtyard. 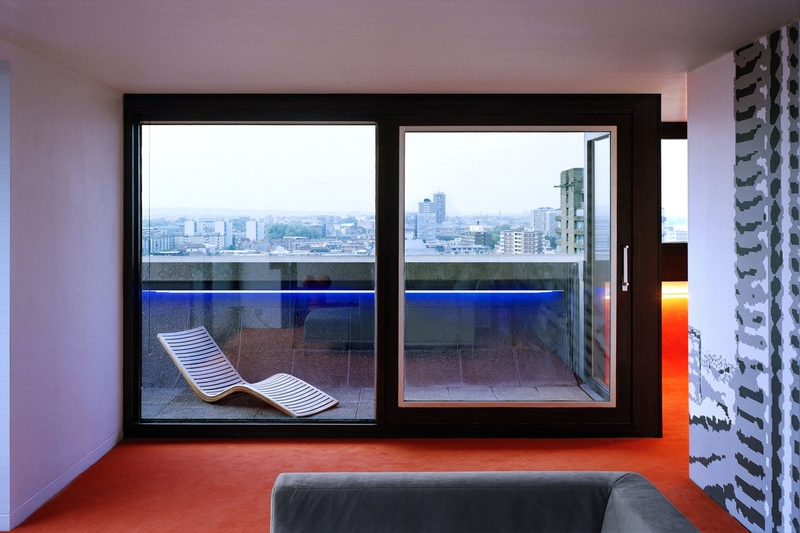 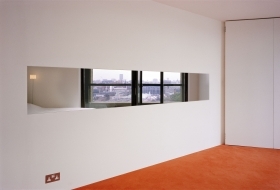 This apartment on the fifteenth floor of the Barbican’s Lauderdale Tower has magnificent views looking west over London. 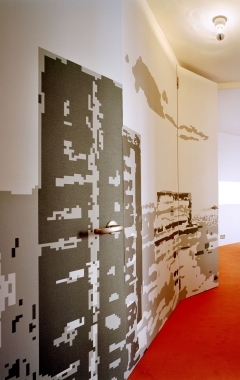 A long corridor wall was faced with specially designed digital wallpaper. 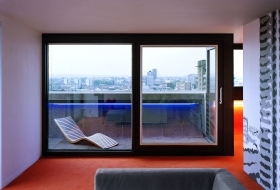 The image is of the view photographed from a neighbour’s east-facing balcony. Hence there is the implication of the complete 360 degree panorama. This house for an art collector was created by fusing together two adjoining buildings; an 18thc cottage and the former studio of the artist Margaret MacDonald Mackintosh. 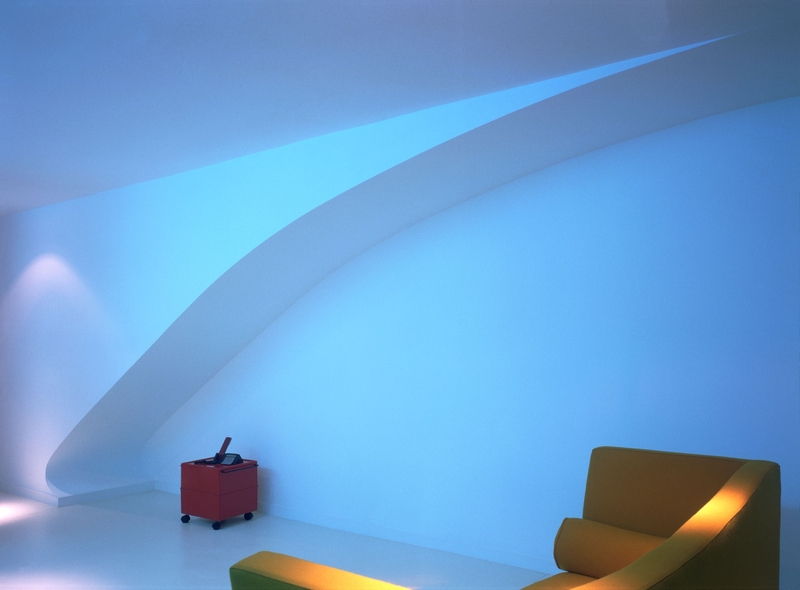 “The space appears as if an opaque film has been lifted from the colours of the everyday world....the blues are softer, the greys clearer"
“Simple and clean....but with character"
“Radical..... spacious, light and welcoming"
A one bedroom duplex within the Barbican’s Milton Court building, was remodelled, incorporating a number of devices to create the illusion of a much larger space. 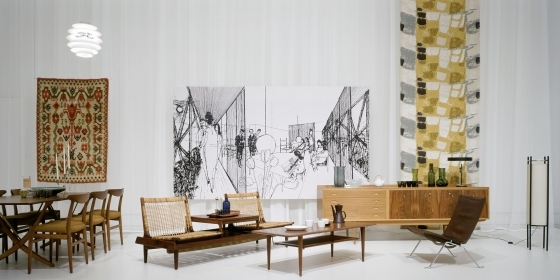 The project is featured in Drew Plunkett's 'Revolution: Interior Design from 1950', that was published in 2016. 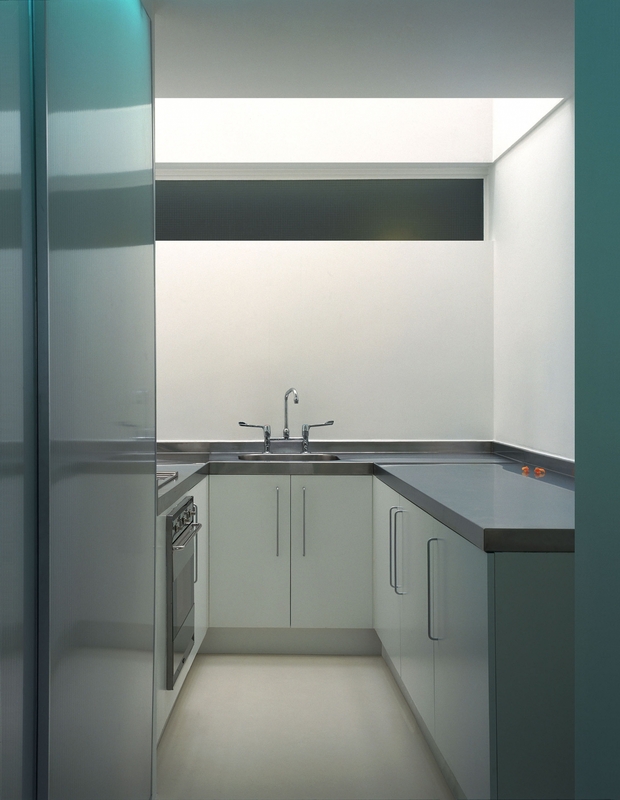 A one bedroom duplex within the Barbican’s Milton Court building, was remodelled, incorporating a number of devices to create the illusion of a much larger space. 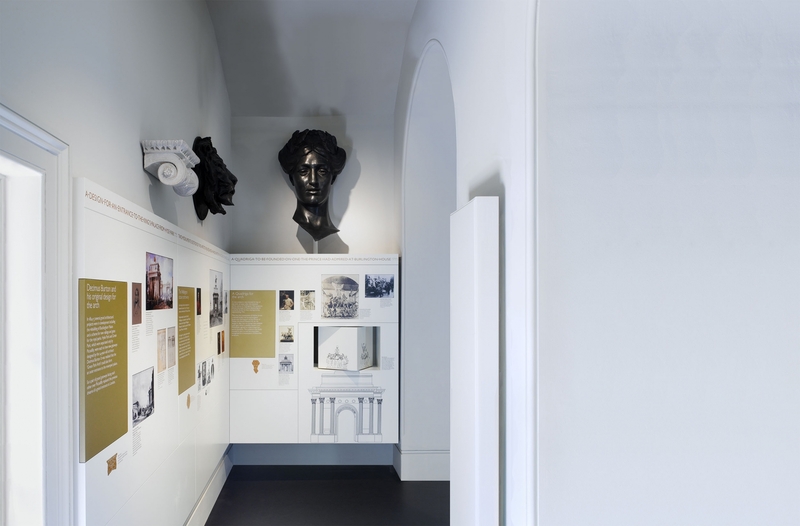 We are an architect-led consultancy based in London, that specialises in three-dimensional design in the cultural sector. 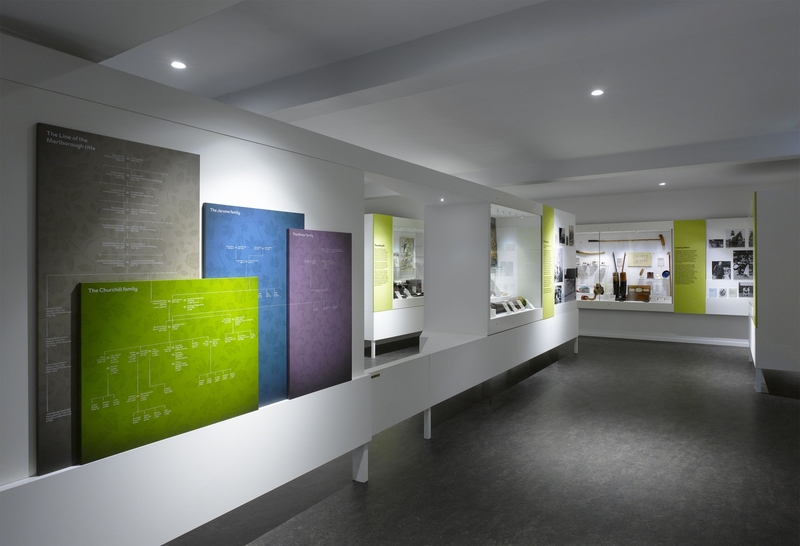 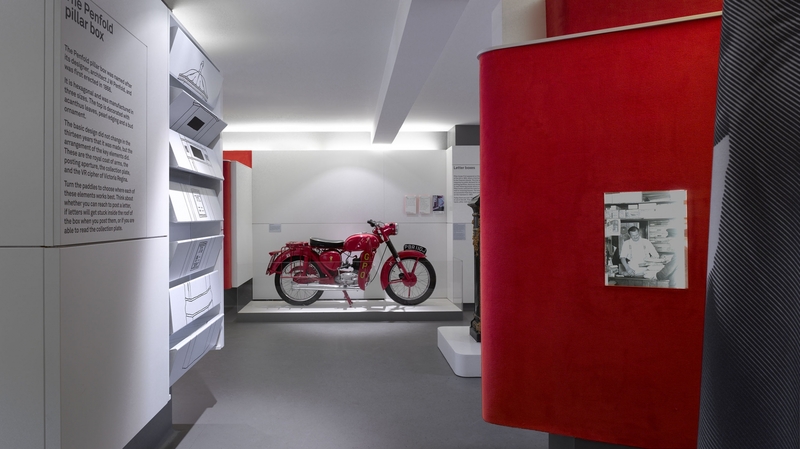 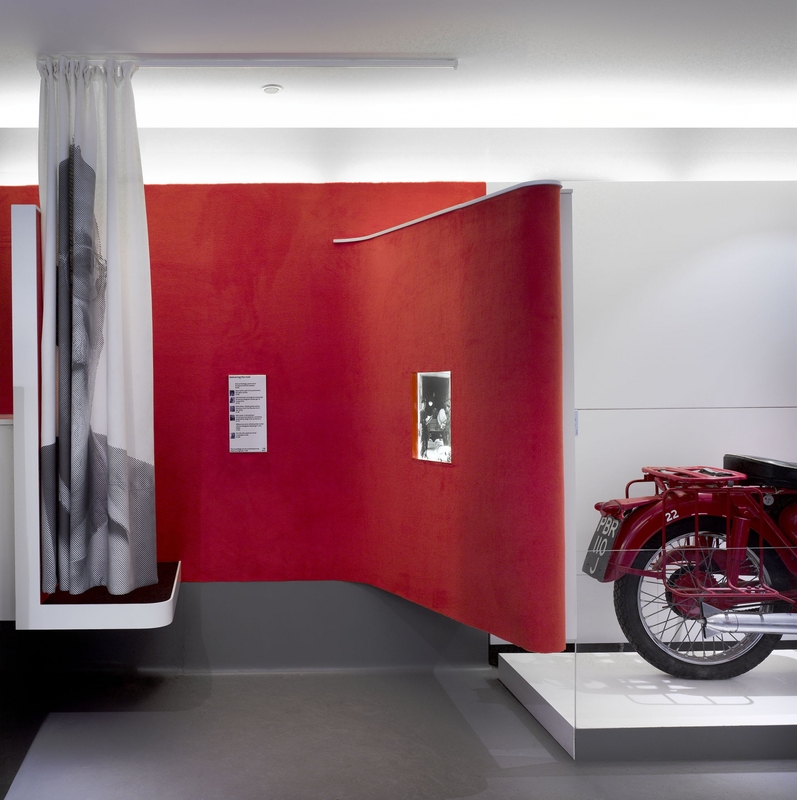 We design exhibitions, museum interiors, gallery installations and small-scale specialist built works. 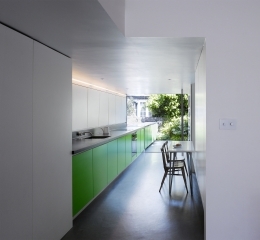 Nick Coombe is a chartered architect and a graduate of the Royal College of Art, where he was mentored by Eduardo Paolozzi. 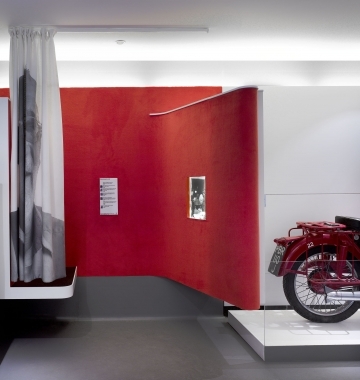 In Berlin he was mitarbeiter to Alessandro Carlini, and worked on a project involving Haus-Rucker-Co. On graduation he was awarded a scholarship hosted by the Museum of Soviet Architecture in Moscow. 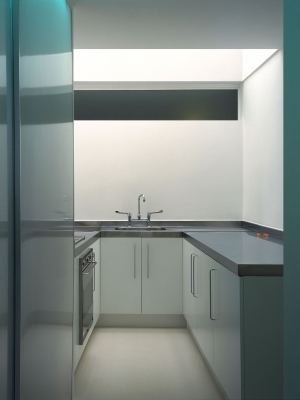 Nick was in partnership with Jonathan Stickland for twelve years. 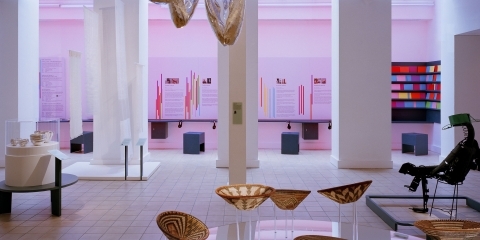 The work of their practice included a collaboration with Hamish Fulton at Tate Modern, and the design of a new-build ceramics studio for Grayson Perry. 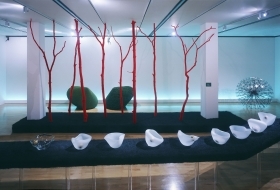 Throughout the 1990's Nick was a visiting lecturer in interior design at the Glasgow School of Art. 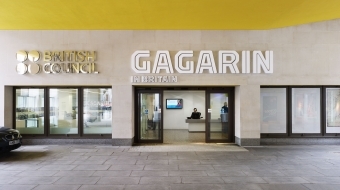 He has been invited to speak at various institutions including the Royal College of Art and the Central Academy of Fine Arts, Beijing.